This is the last week before the big holiday weekend so the last gifts need to be wrapped and delivered and good things must come out of the kitchen soon. 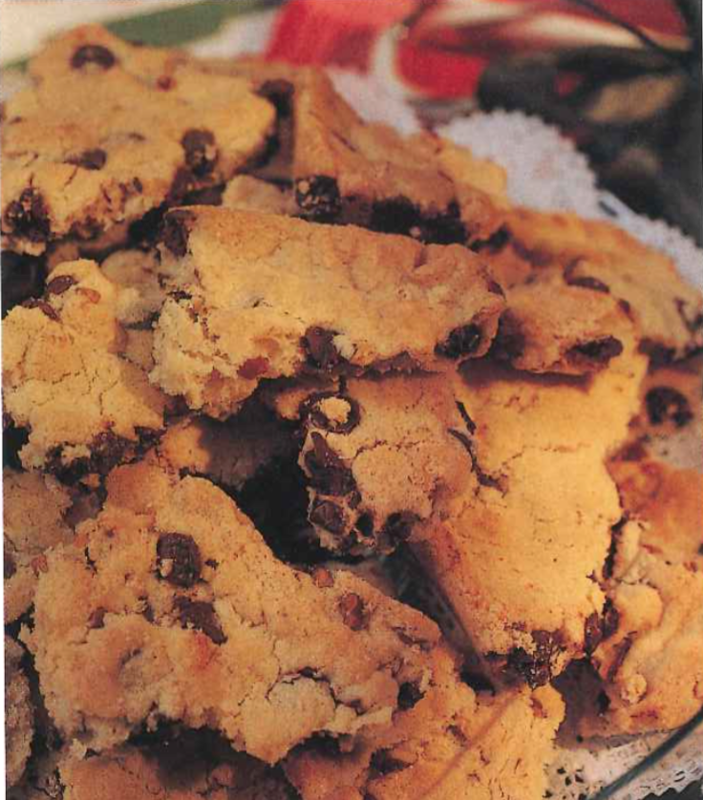 I no longer bake a huge assortment of cookies, but rather make a few all time favorites. Among them are Cookie Brittle, Scandinavian Almond Bars, Sugar Cookies and at least one batch of homemade chewy Caramels. Click on the photos below for the recipe. 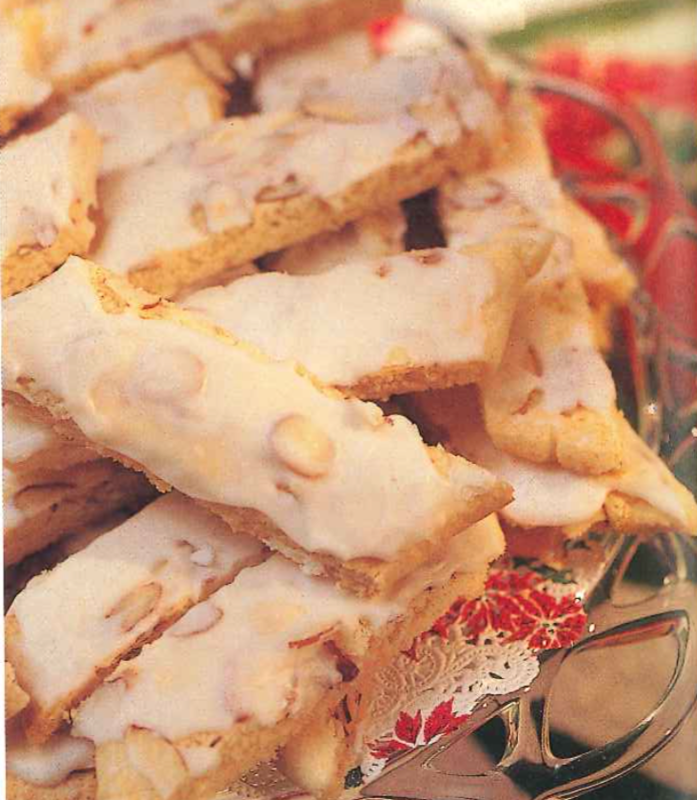 Recipes are from my Christmas Cottage book by Landauer Publishing. 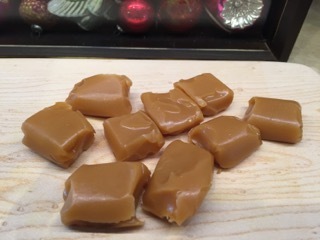 Caramels are now the only candy I make for the holidays. All others seem to be pale in comparison. I think you can now buy decorative candy wrappers either on line or in specialty kitchen shops. 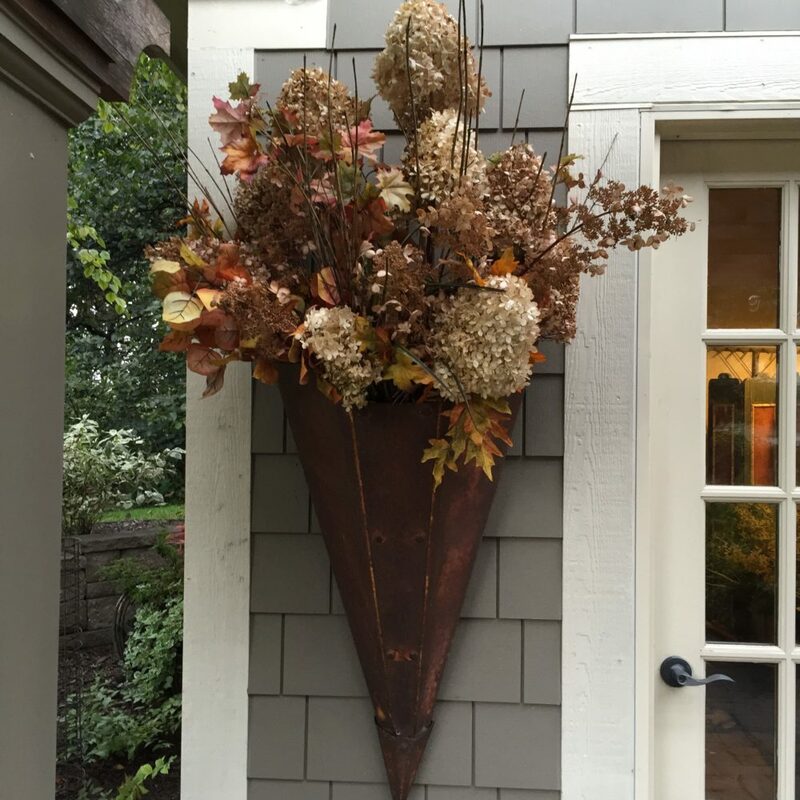 I happen to love the waxed paper approach…so authentically homemade. 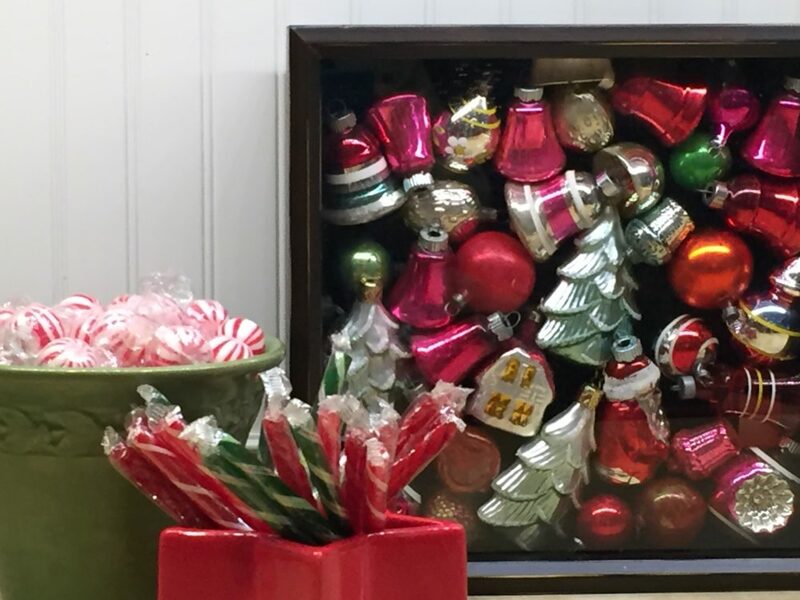 There always seems to be one more person that pops up on your radar that you would like to gift with a little something or perhaps you need a hostess gift. 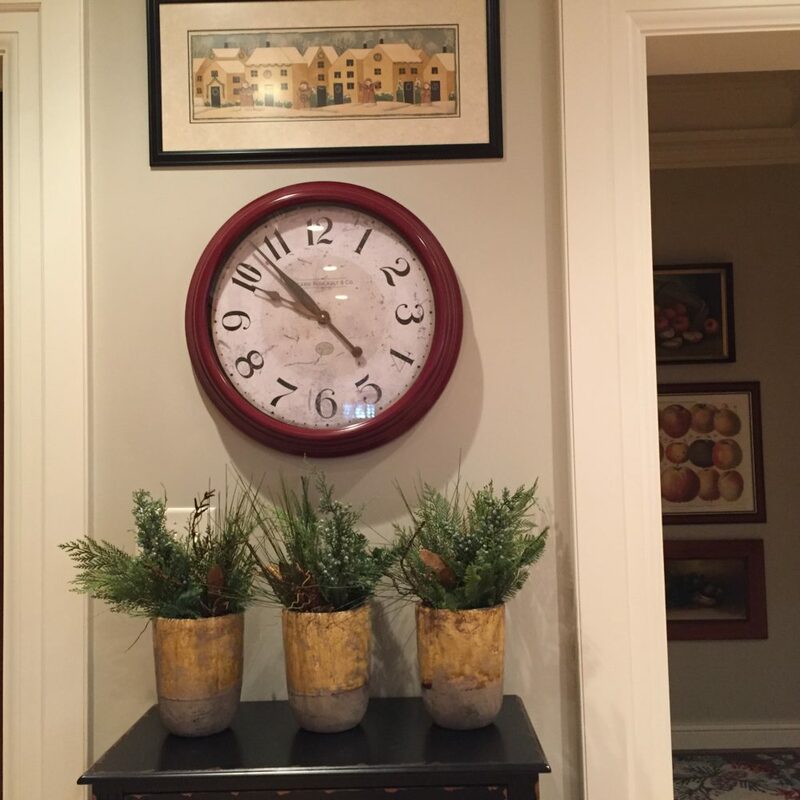 If you have extra tree ornaments, and who doesn’t, arrange them in a shadow box frame. 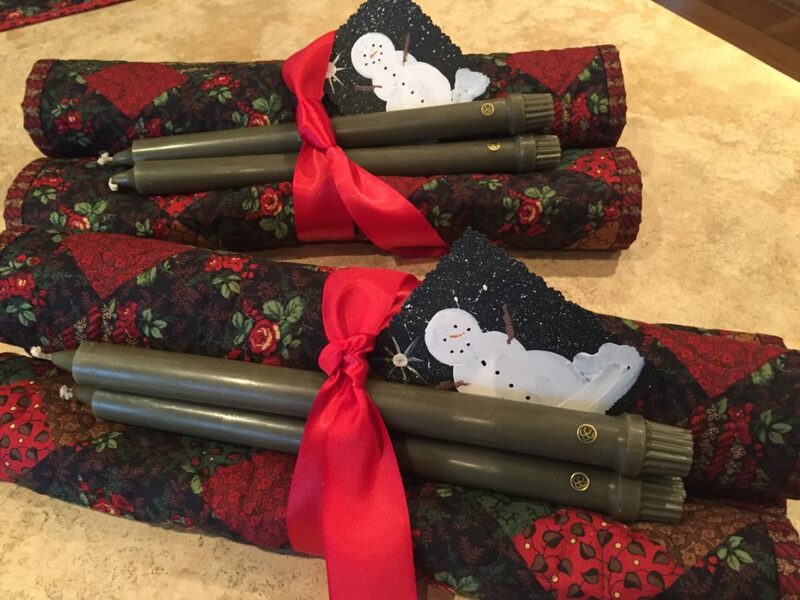 It is a quick DIY and so festive and so easy to use. 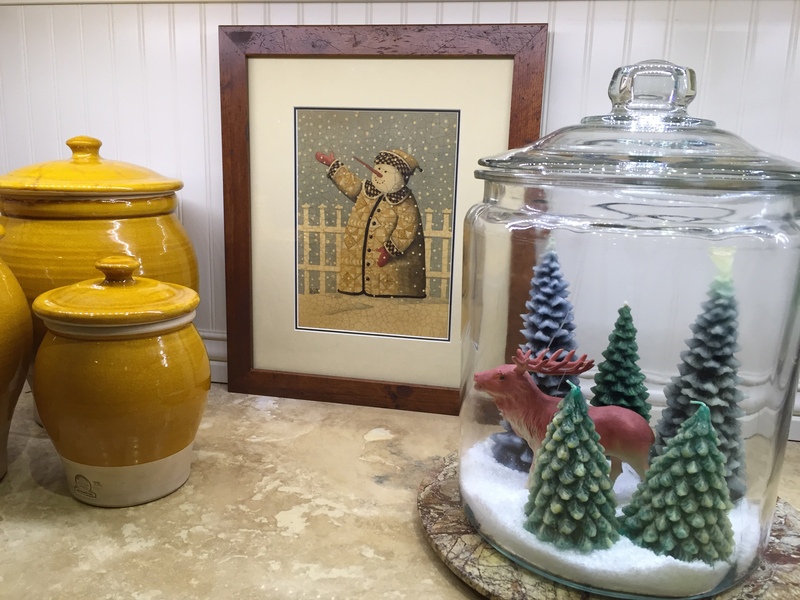 It can fit anywhere and add a bit of cheer to any space. 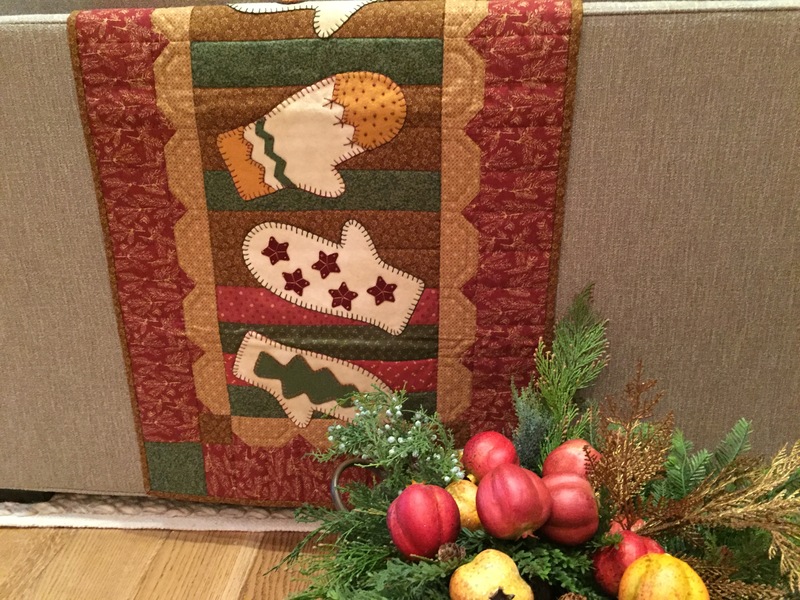 Placemats made from festive fabrics don’t even need piecing, Just quilt with an over all design and roll up, add a candle and ribbon for a very quick gift that everyone can use. I painted a simple snowman on black construction paper for the gift tag. 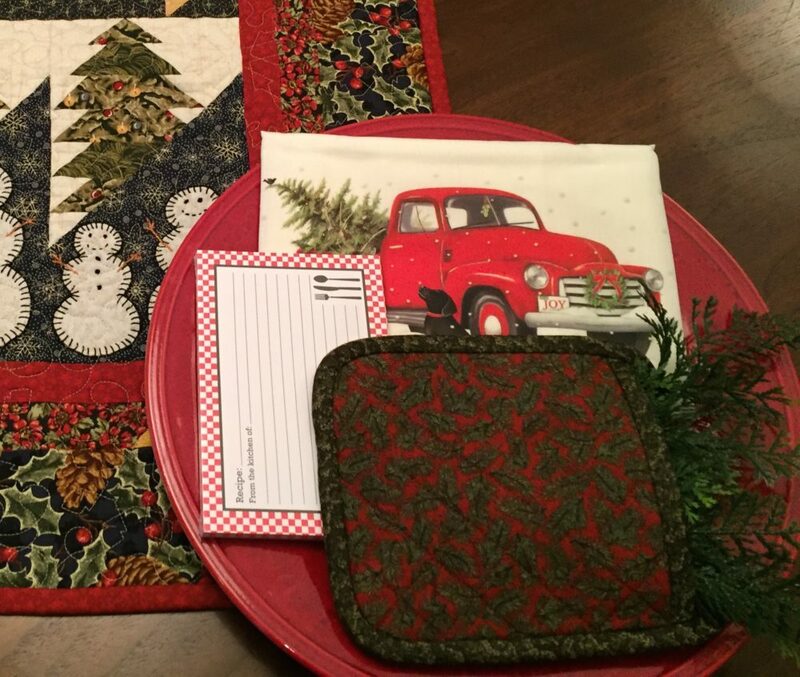 Make a simple potholder and combine with a tea towel and recipe cards. I can’t think of anyone who cooks that can’t use all of these items. 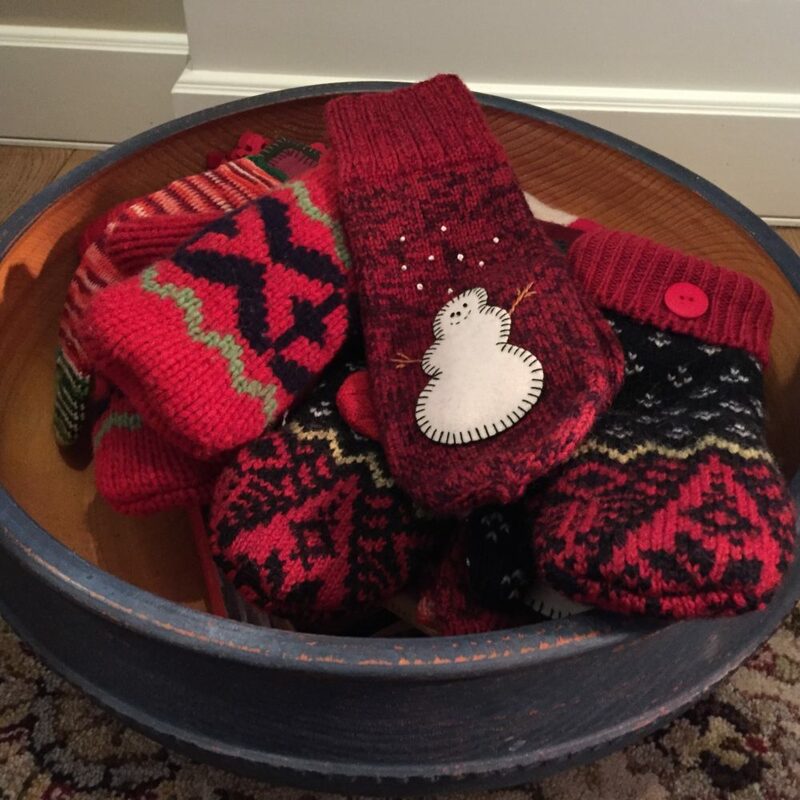 The potholder is an extra project included in the WinterScape Project of the Month Program offered by Fons & Porter this month. 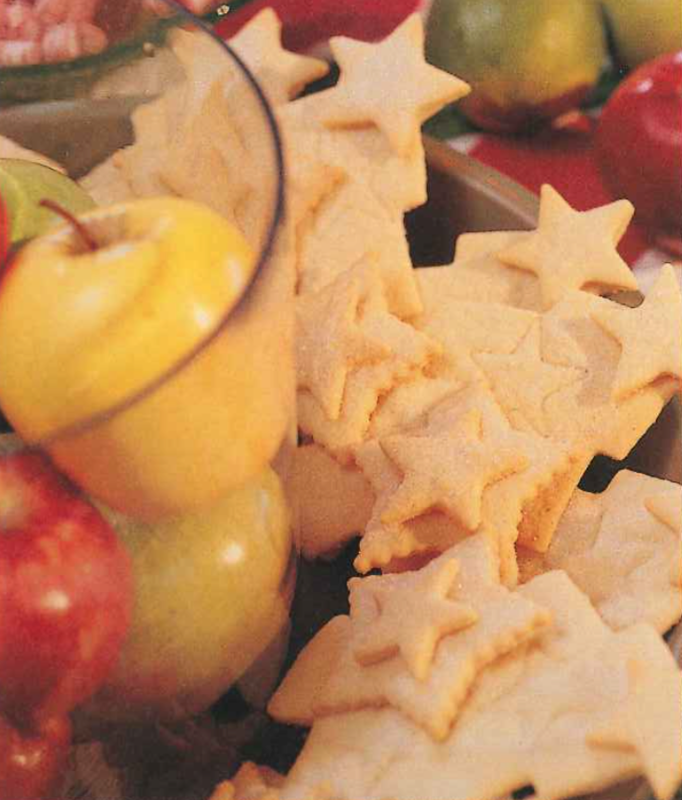 Hope these few recipes and suggestions spark some creative creativity at your house this busy season. 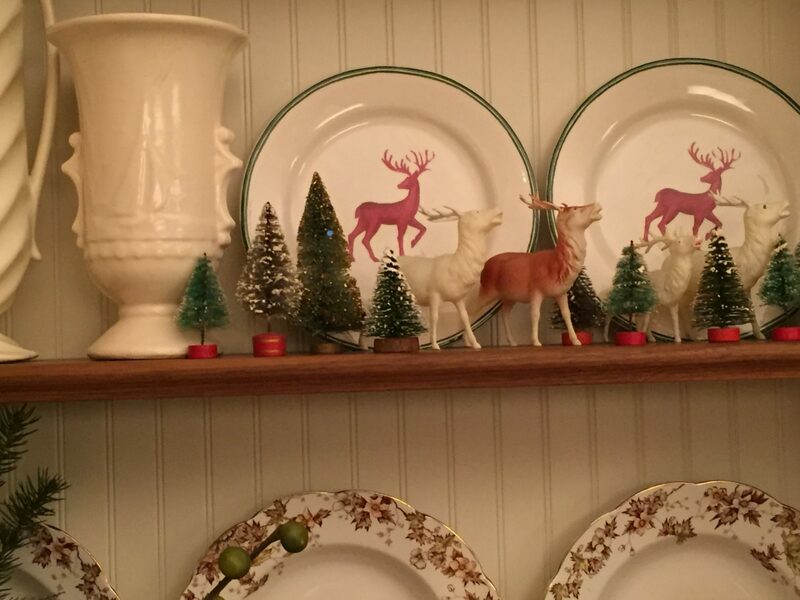 Here are a few more pictures from around my “decked halls”. 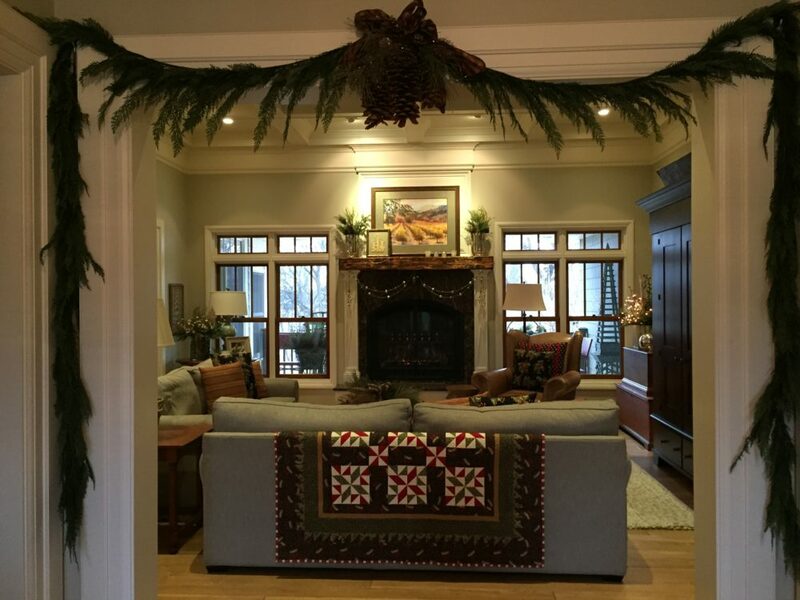 A long standing tradition at my house is to “dress” the beds for the holidays. 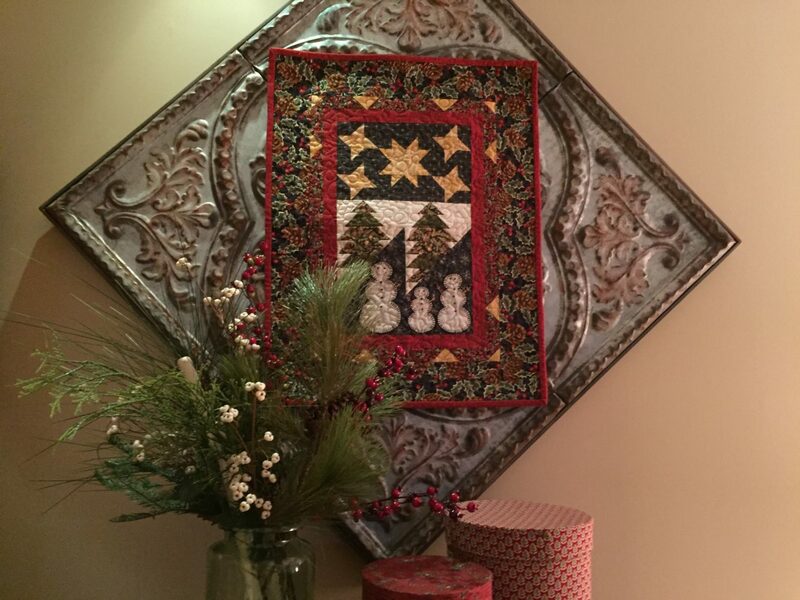 The day after Thanksgiving, holiday quilts and pillows are the first things to be unpacked. 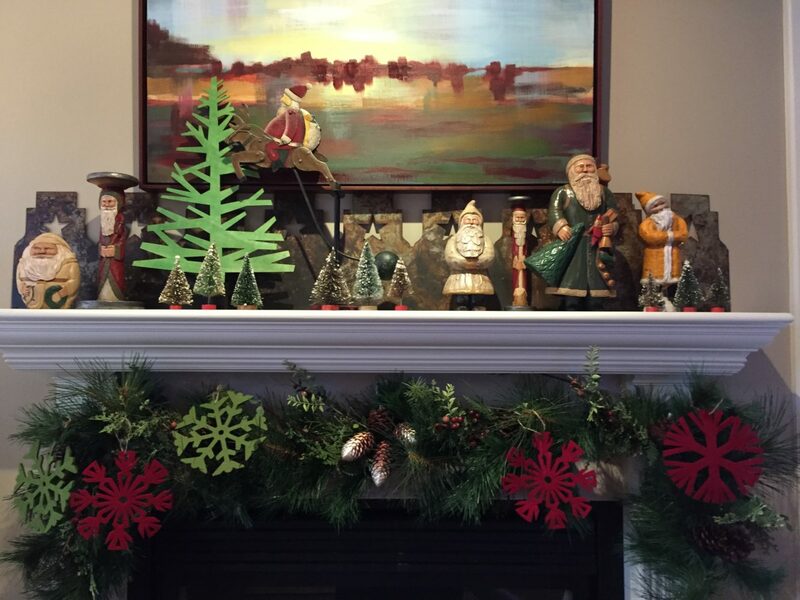 Each year the combination changes and layering is definitely the approach. 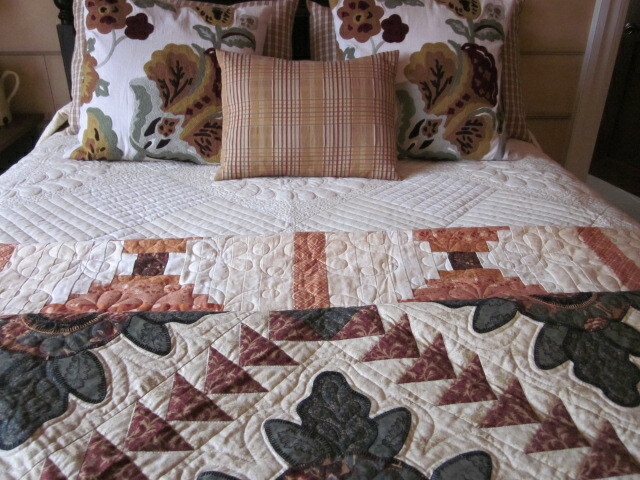 On two of the beds, I decided to combine some antique quilts with some Thimbleberries quilts. 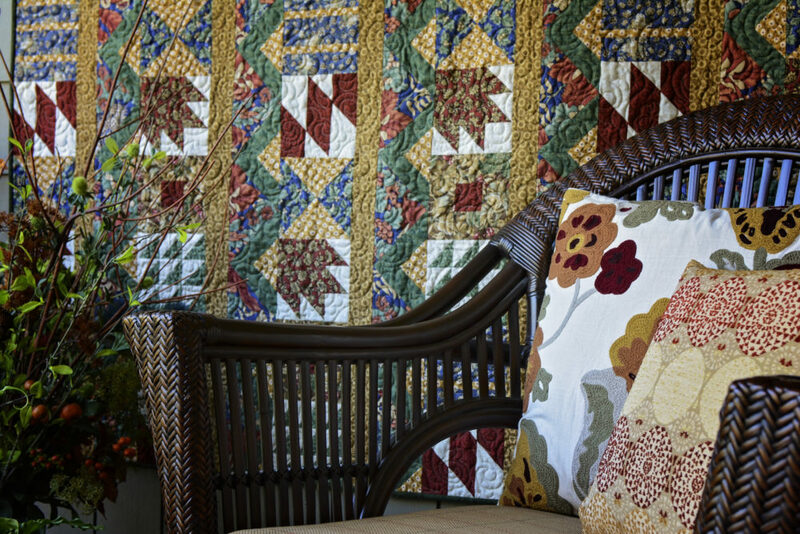 After all, my love of antique quilts ignited my whole career. And, I love to show how this wonderful heritage craft has spanned so many generations. 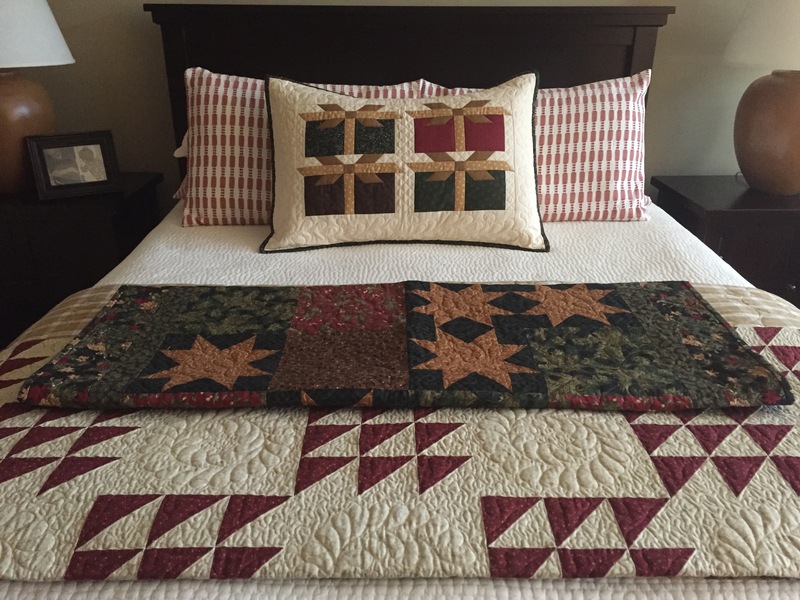 Putting holiday quilts on the beds starts the holiday decorating season off with a bang and then things get added day by day. There is nothing more inviting than a well dressed bed. 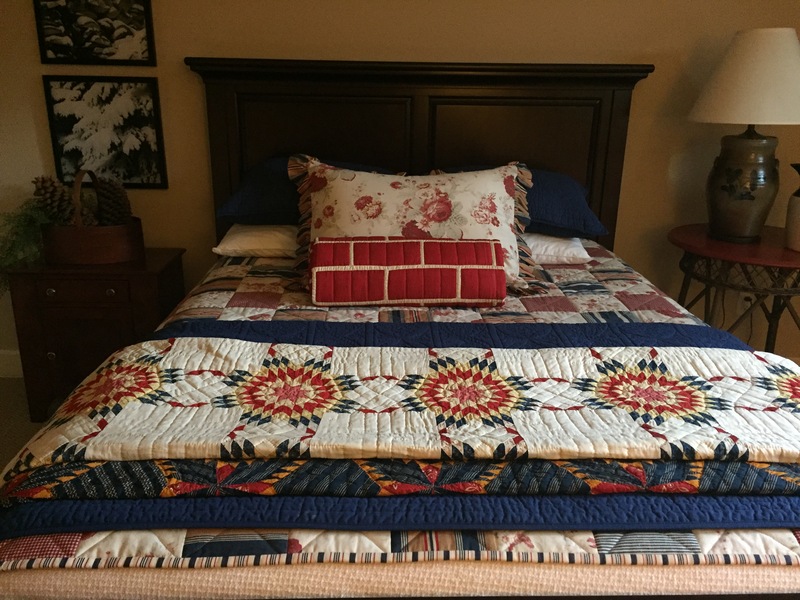 On one of the beds, I coordinated a few of my favorite red and blue antique quilts and rolled up a wonderful antique “brick” quilt into a bedroll and displayed with the pillows. Simple directions are in Thimbleberries Christmas Cottage, published by Landauer Publishing and available from landauerpub.com. 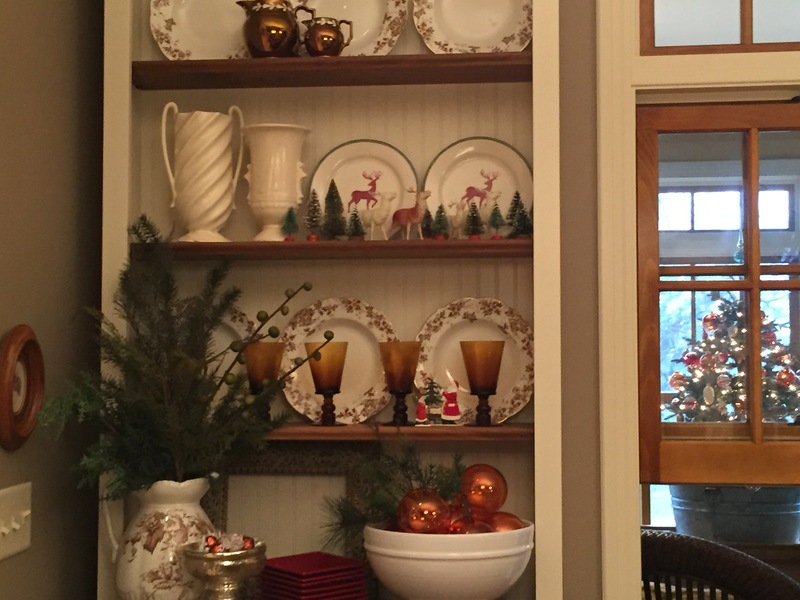 This book is chocked full of great holiday decorating ideas. 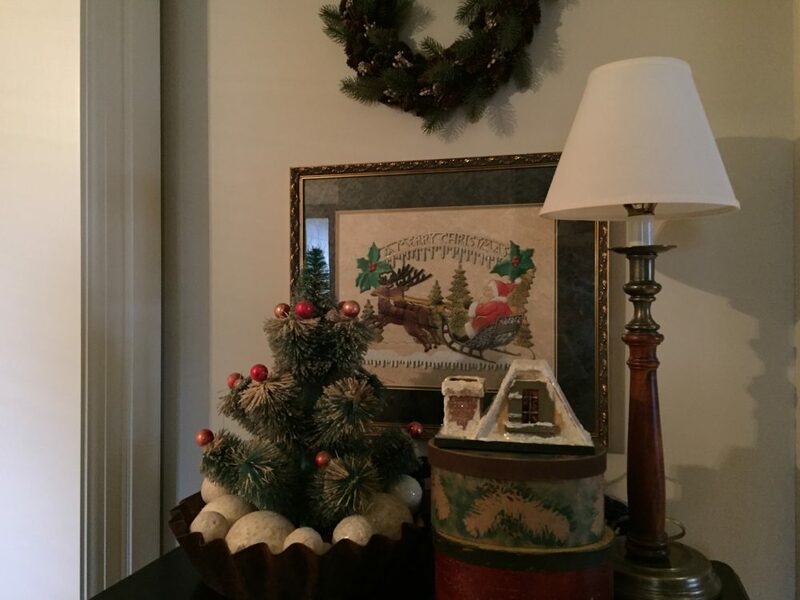 In our main guest suite, I have layered my classic (and first published pattern) Prairie Pines with an antique treasure. 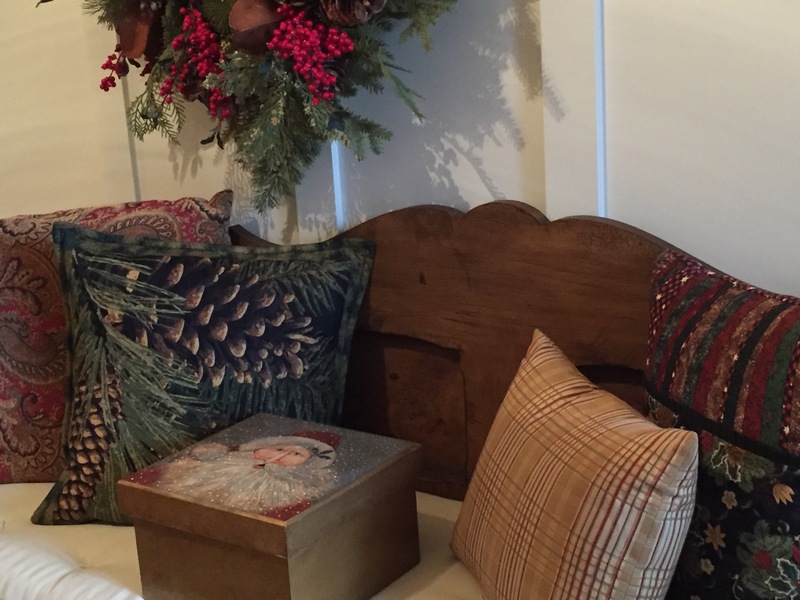 The pillows are from Pottery Barn a few years back. 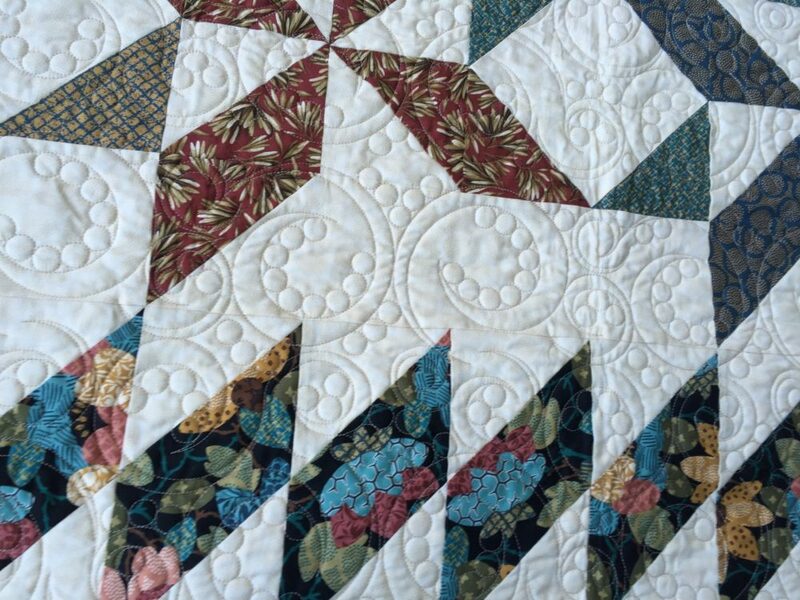 All are layered on the Heirloom Winter White quilt. 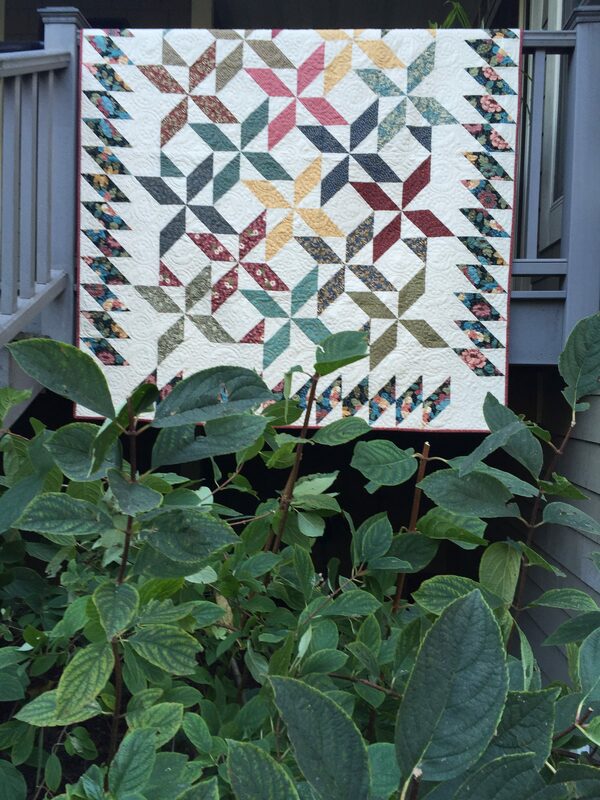 The pattern for the Prairie Pines quilt is included in the book, In Celebration of Quilting available from Landauer Publishing. 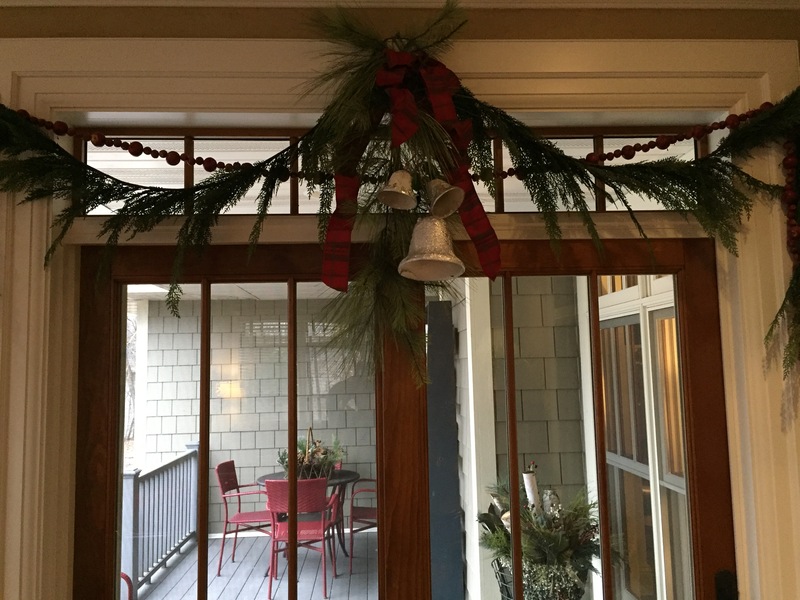 It is always a challenge this time of the year to decorate the outside areas of the house. 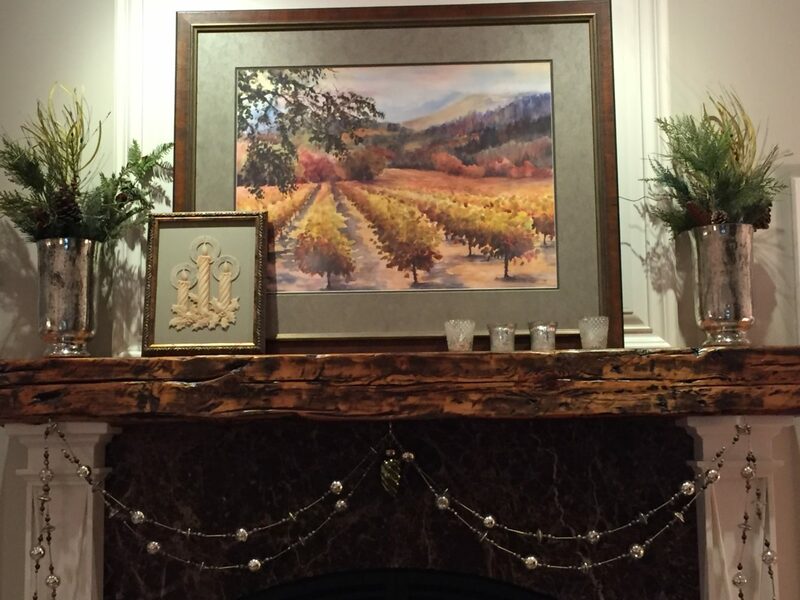 I want to take advantage of the mild temperatures we are having this week to get holiday greens, swags, lights and arrangements in place, yet I don’t quite want it to be all Christmas outside when we still haven’t had Thanksgiving. 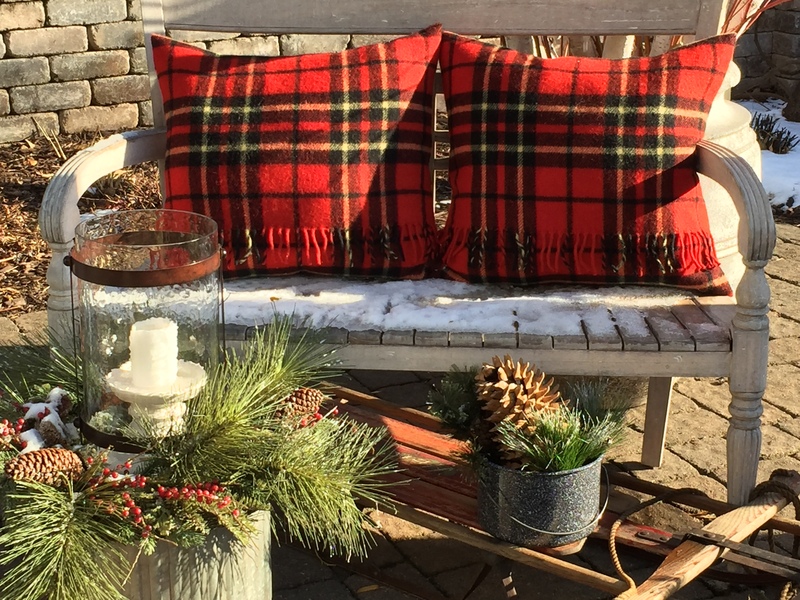 Unfortunately, the weather forecast for tomorrow and through the weekend involves our first snow storm and wind so the decision has been made for me to at least get a head start today on Christmas. 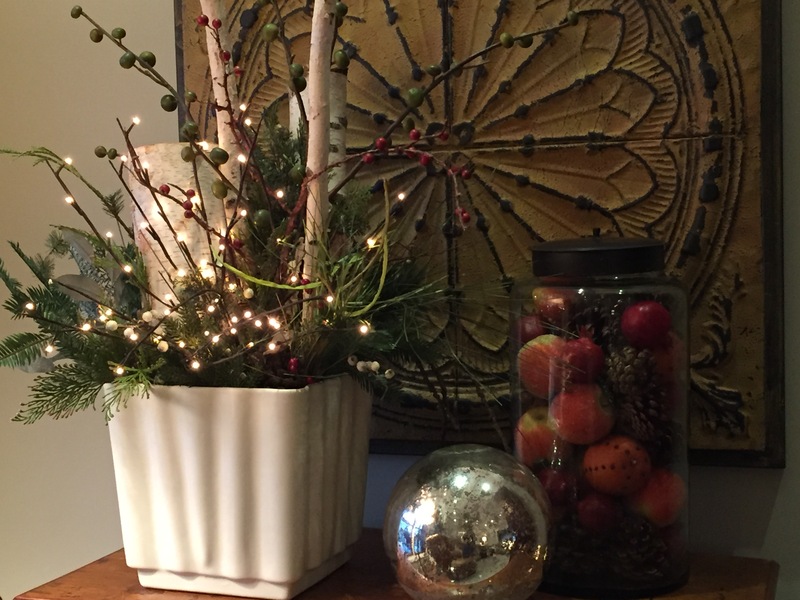 This year I am turning to greens, red twigged dogwood stems and birch logs for the basis of my decorations. 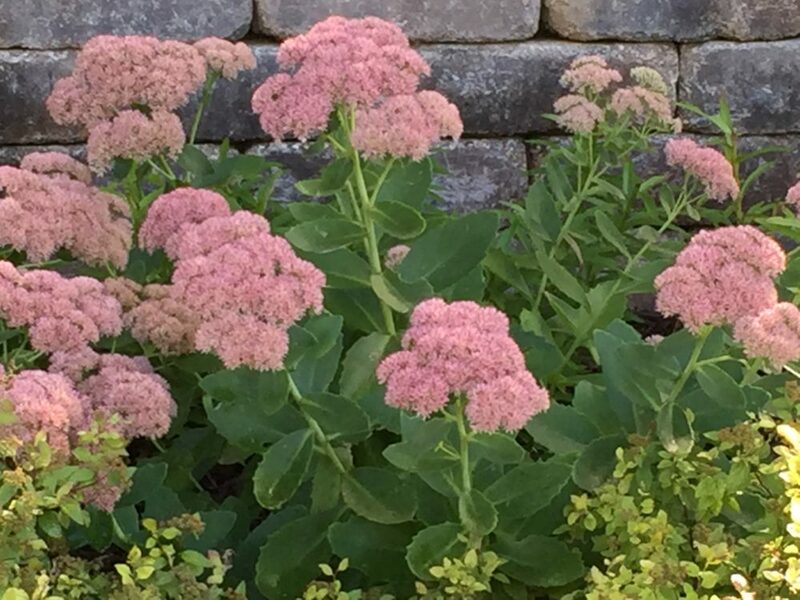 I like the natural look and they all look right at home in my yard in this part of the country. 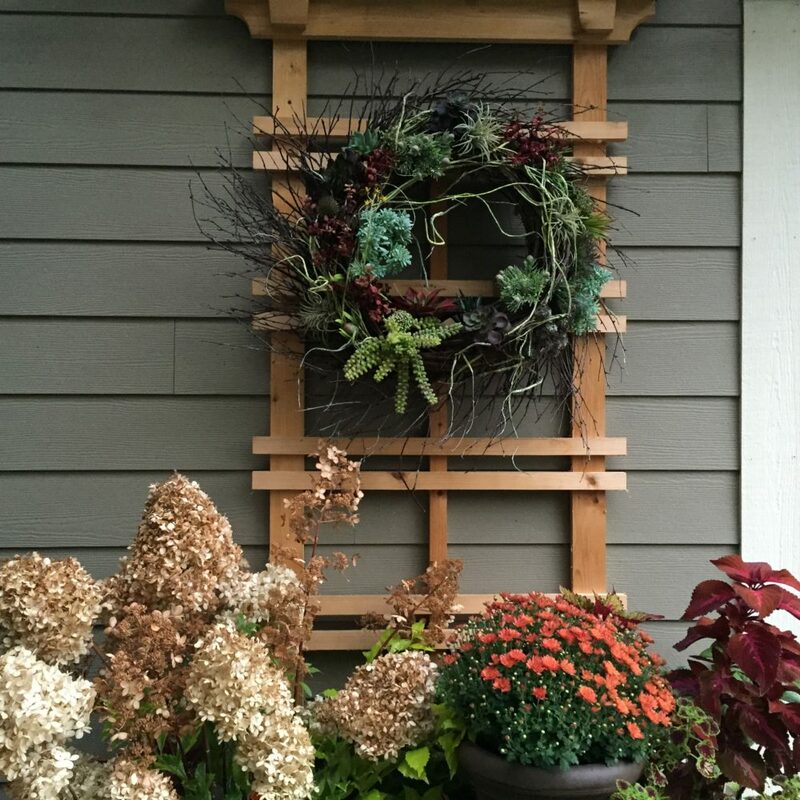 The snow and cold temperatures do not allow things like magnolia leaves and fruit for outdoor wreathes. I love how they look, but we must be practical here. 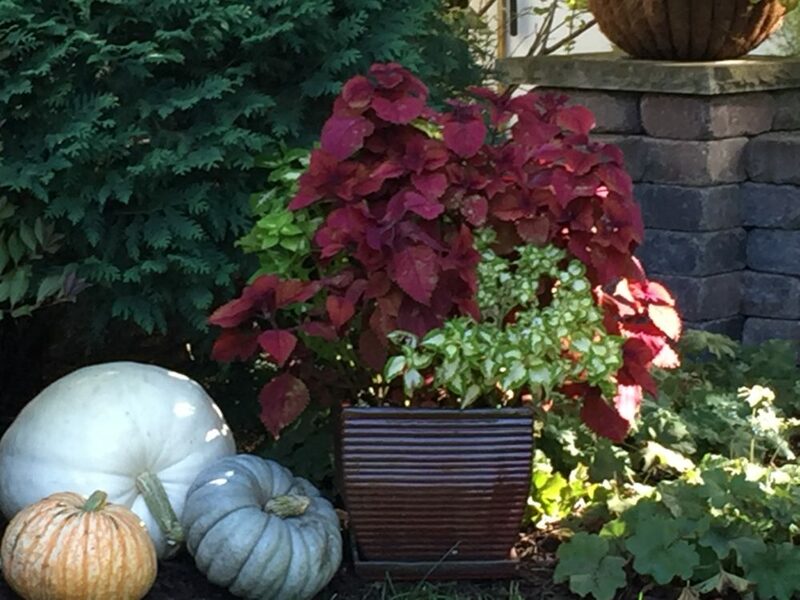 To bridge the gap between Thanksgiving and Christmas I had a few fall like elements to my evergreen arrangements and display with white pumpkins. 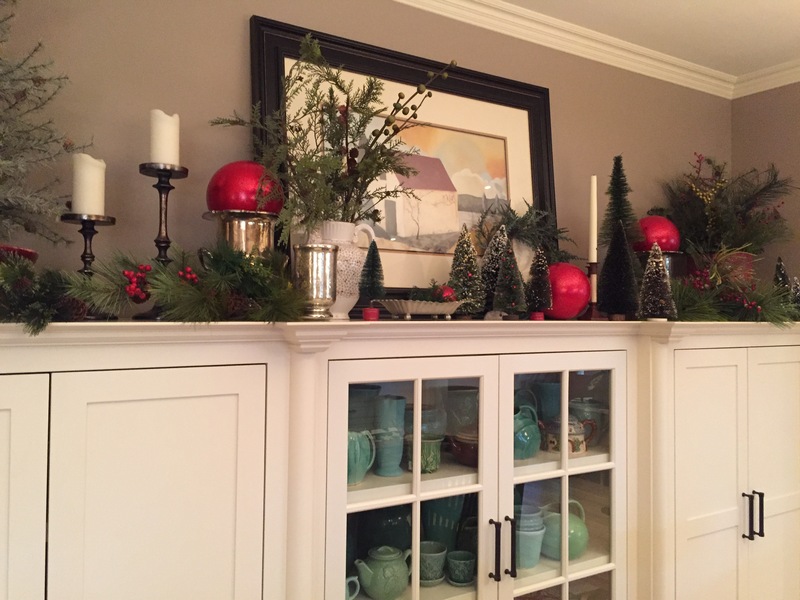 Then when Thanksgiving is over, the pumpkins are tossed and all fall foliage is removed and Christmas baubles will appear. 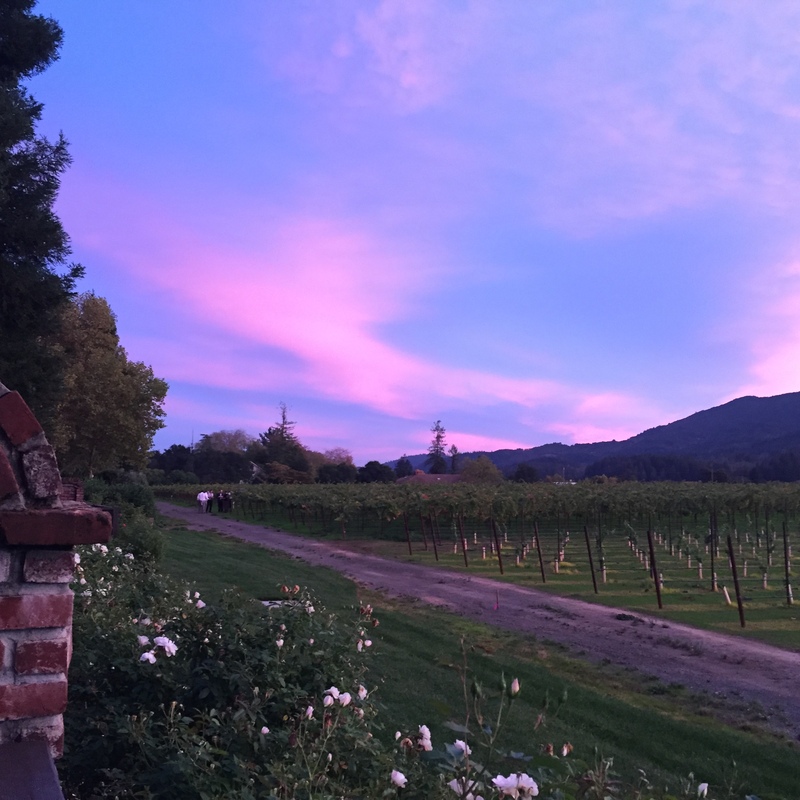 Last week, Neil and I spent a few days in St. Helena in northern California…a lovely, relaxing trip. A nice break between our busy summer and fall schedule this year and the upcoming holidays. 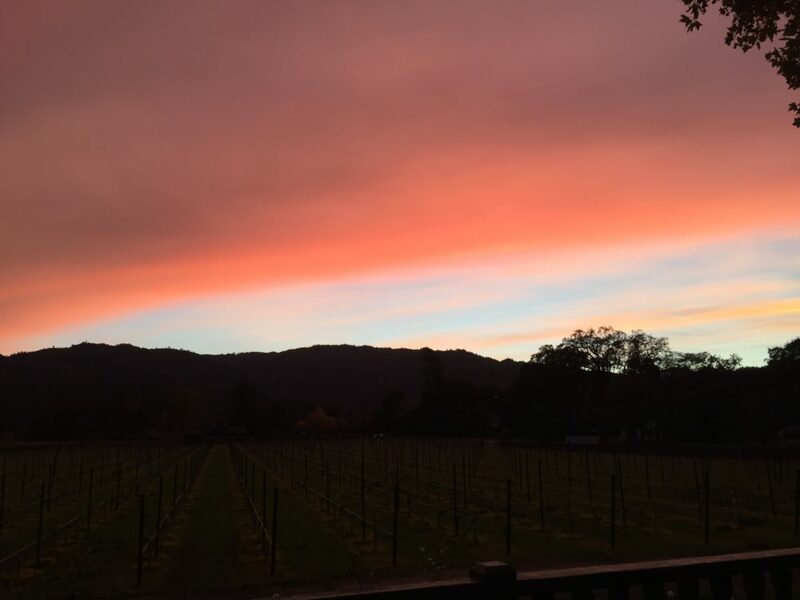 This was the beginning of a particularly beautiful sunset that all happened in just a matter of minutes. 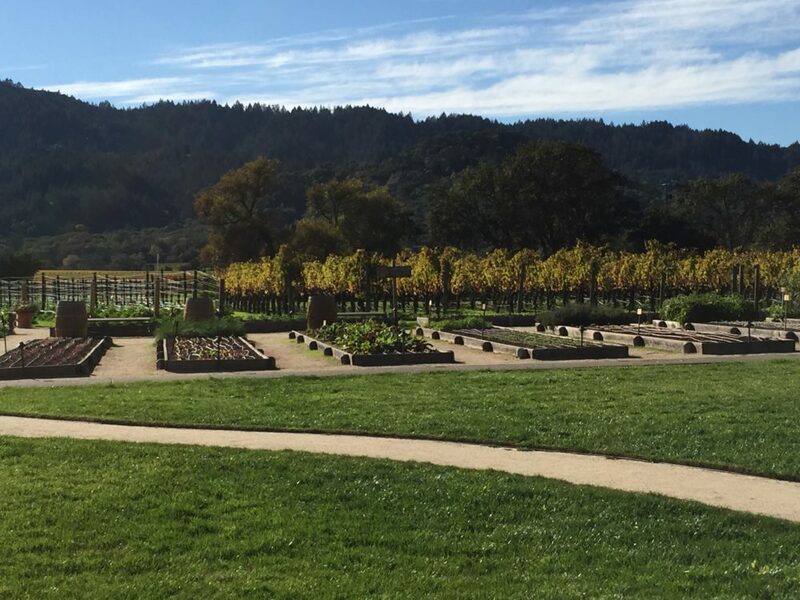 So many restaurants now have their own organic gardens, even if it means growing greens and herbs along with their flowers in the landscape around the building. No wonder things taste for fresh and dishes look so good. 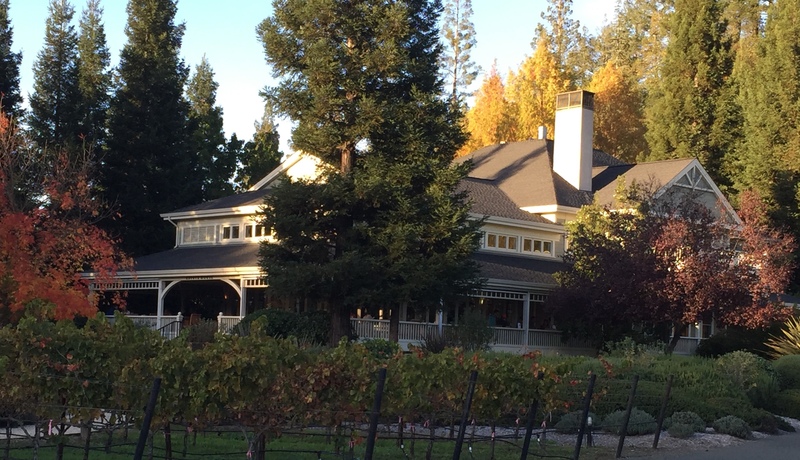 One of favorite wine tasting rooms is on the Frog’s Leap property. I think everything tastes good there because of the setting. 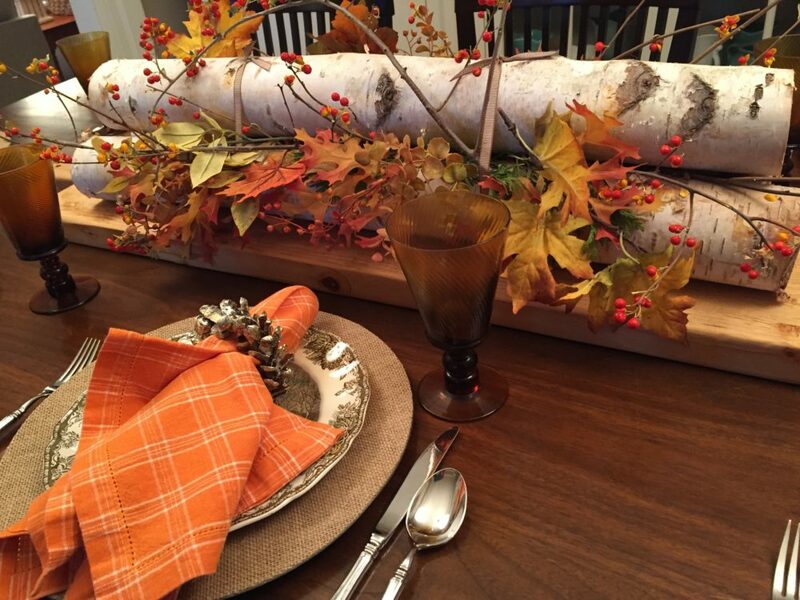 The challenge this week is to make the Thanksgiving fare as lovely as some of the food we had on our vacation. 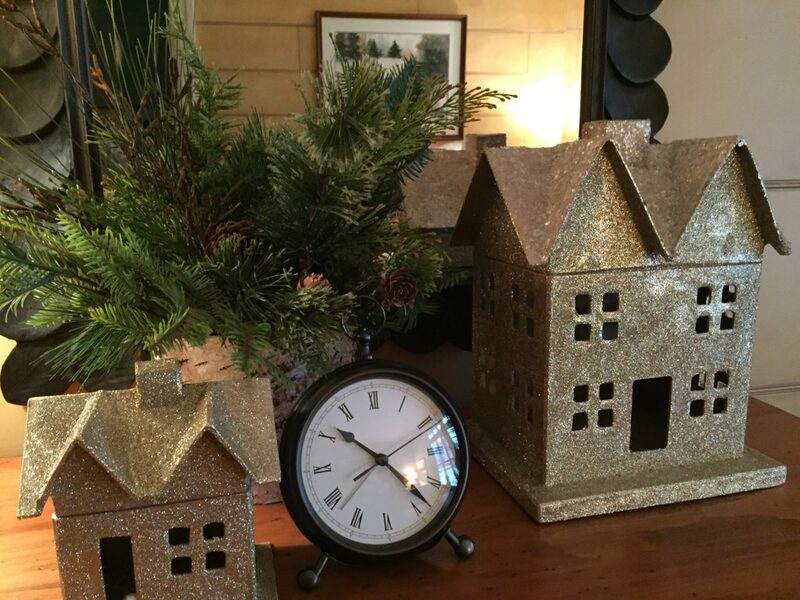 It seems like I spend a lot of my time getting ready for holidays and events and then cleaning up and putting things away to make way for the next big deal. Well, that is exactly what is going on now. 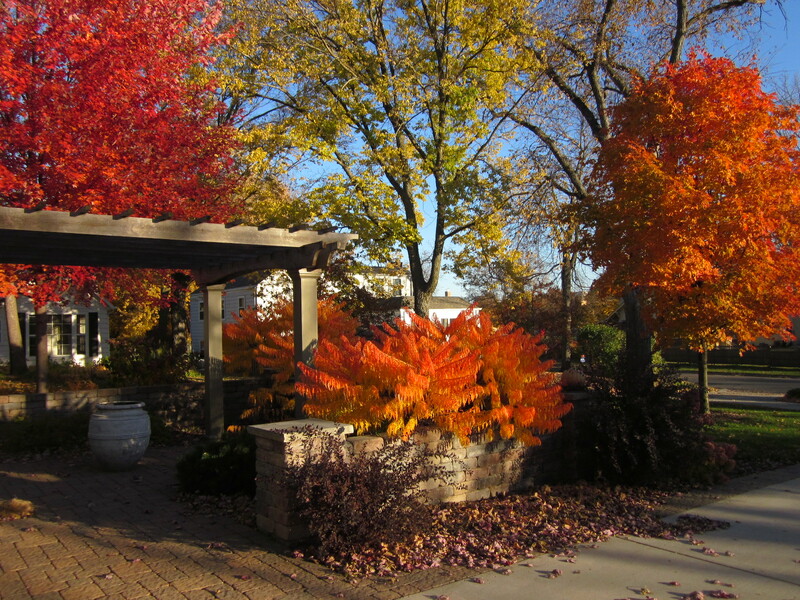 We have had a spectacular fall season, enjoying beautiful weather and even more beautiful fall color. 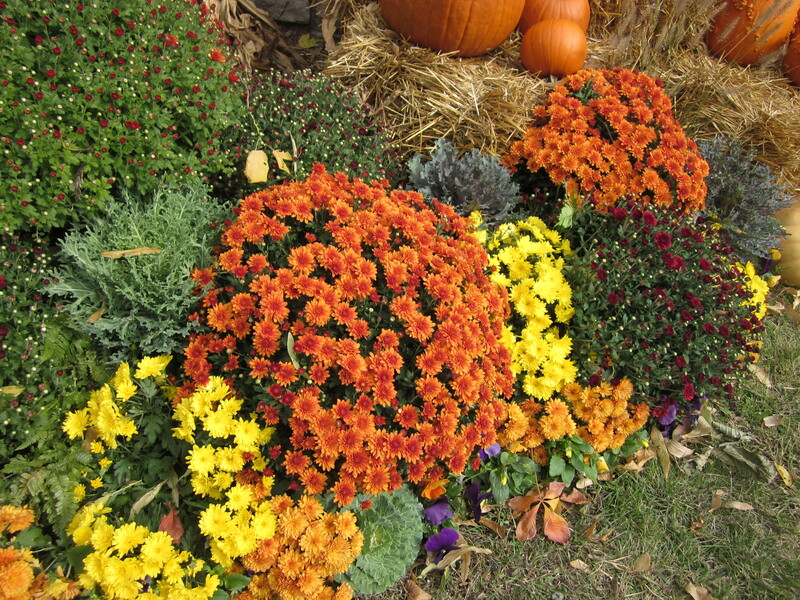 Now it is time to get the yard and garden cleaned up and “put to bed” for the winter and start thinking about decorating outdoors for the winter months. 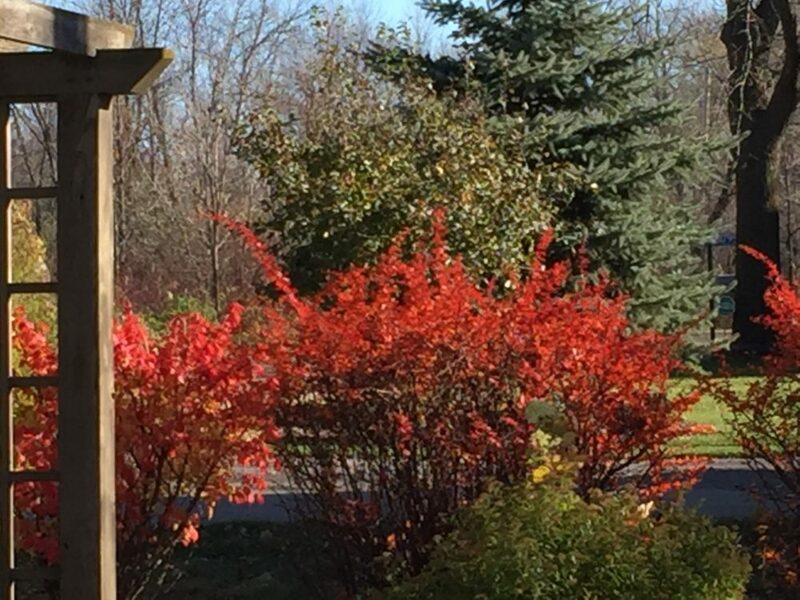 It is so great to have mild temperatures and sunny days for the task at hand. 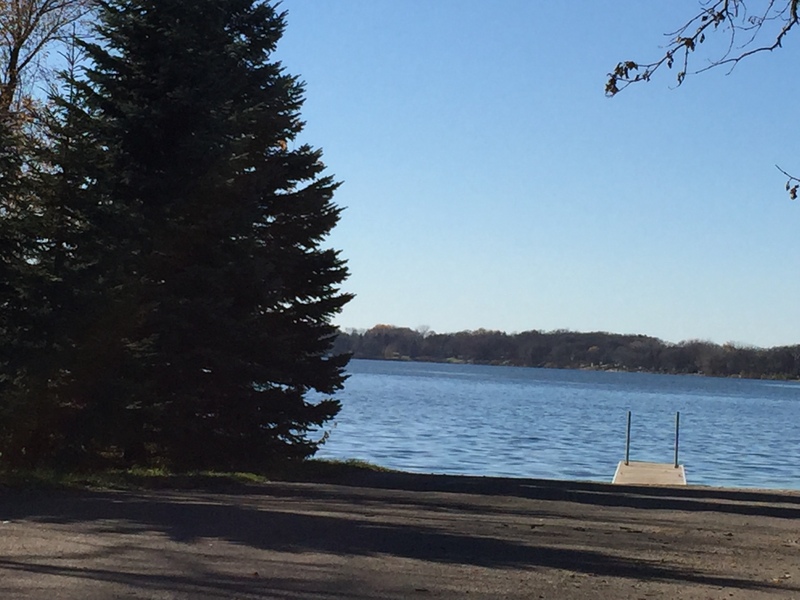 Today, I am going to take care of the final yard work at the cabin. That usually doesn’t get done because the weather turns cold and it is the last thing on my list so I conveniently put it off to do in the spring. 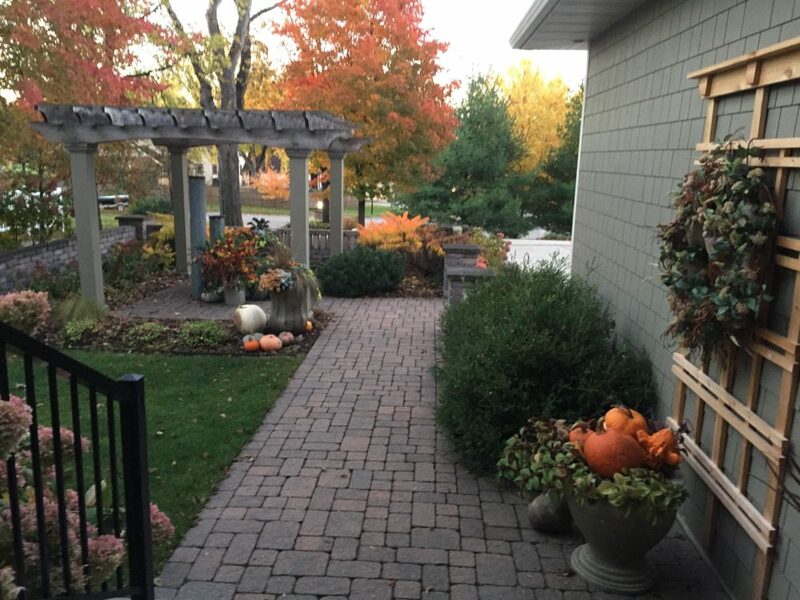 However, I love nothing more than a clean yard ready to pop as soon as the weather is nice, so fall clean up should be a must for me. The lake will be quiet and that beautiful shade of blue that Minnesota lakes are known for this late in the year. Speaking of getting ready, this is when I start planning decorations and collecting recipes for Thanksgiving. 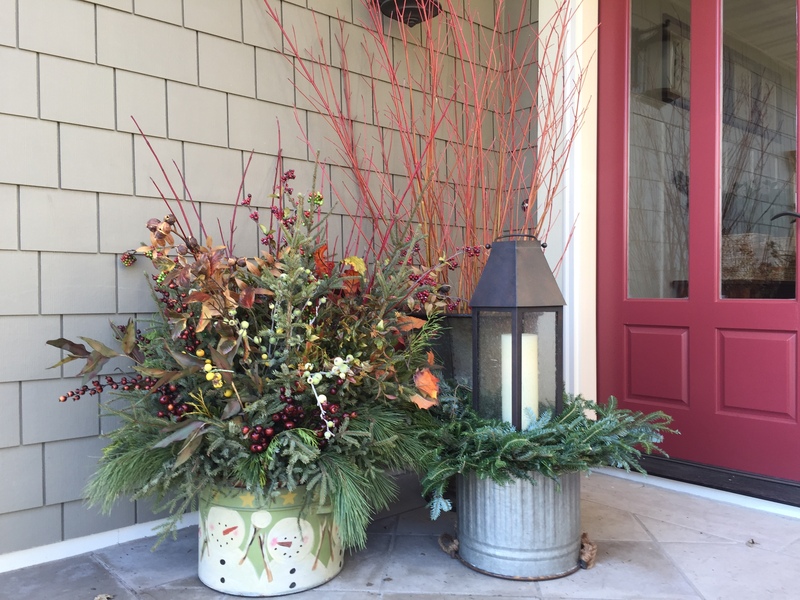 I like to have harvest items incorporated with winter greens for Thanksgiving serving as a transition between the two seasons and keeping Christmas items “at bay” until after Thanksgiving. 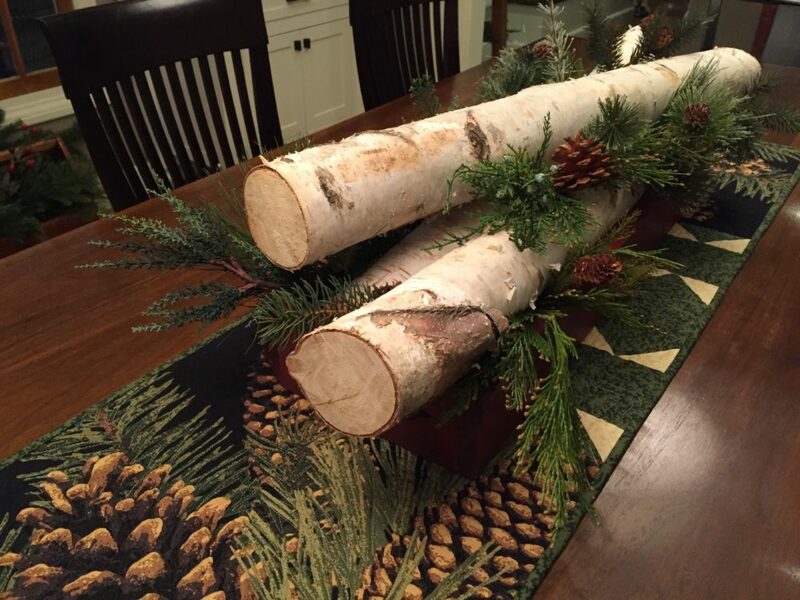 For my dining room table I have bundled some small birch logs into a pyramid and tucked in artificial leaves and real bittersweet branches. 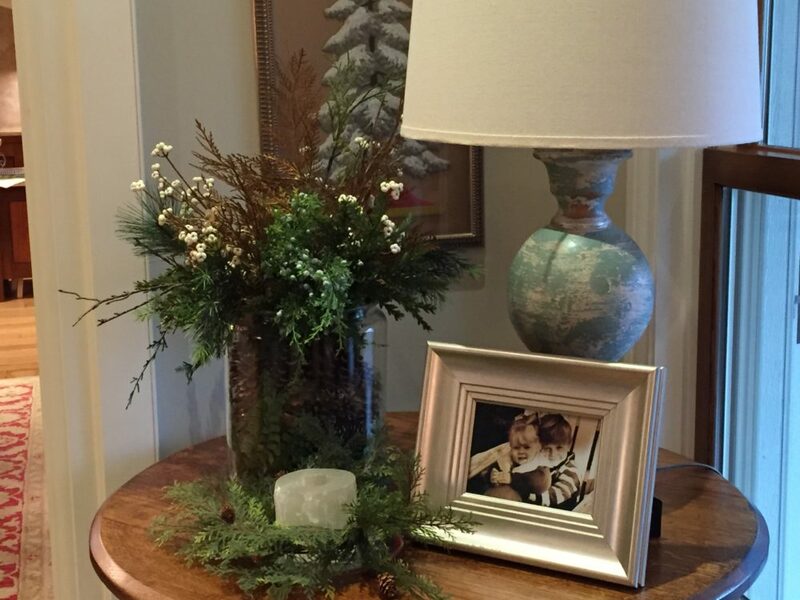 It will easily transform into a Christmas arrangement by just changing out the leaves and orange berries with greenery and red berry sprigs. I like the fact that it is low and can easily be looked over making conversation with guests across the table comfortable. 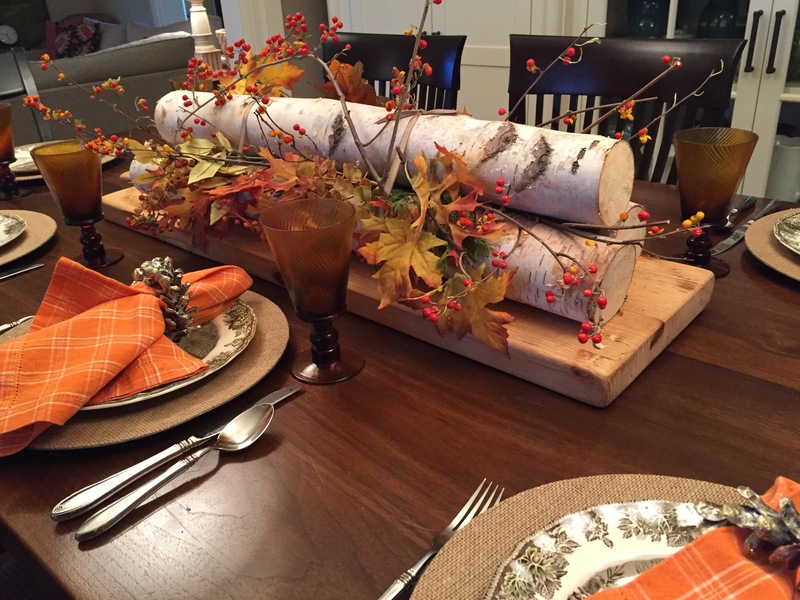 I am hosting a birthday party next week for a group of friends and it will be a perfect pre-holiday table decor. 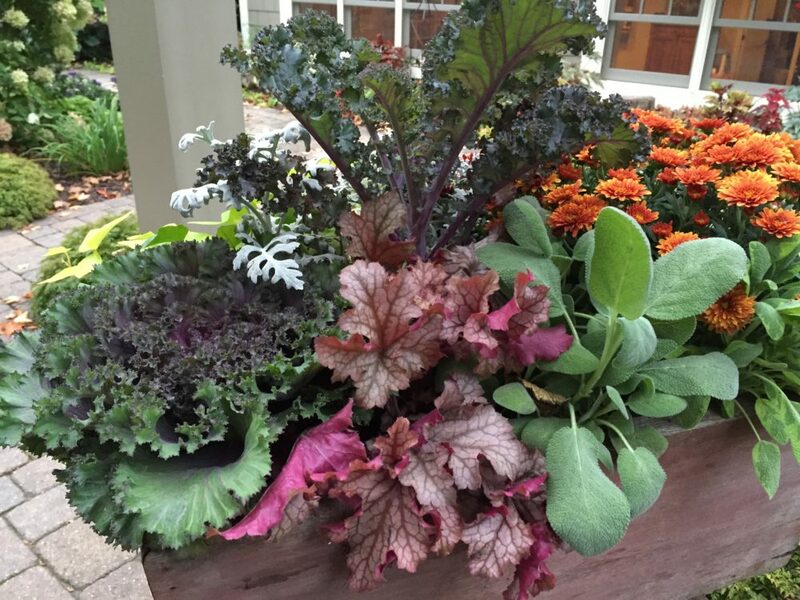 Here is a recipe I am planning on using this season. 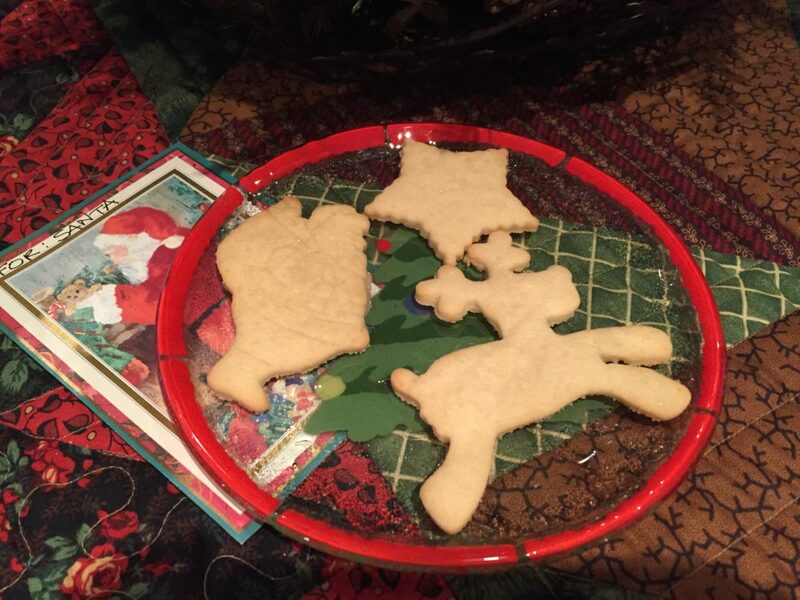 My family really does like all the traditional favorites that they associate with the holidays, but I always try to introduce something new each year that may just have a chance at becoming a new favorite that I can add to my traditional menu. 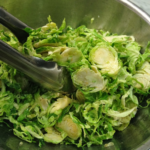 Everyone in my family likes Brussels sprouts…I know…kind of strange. I think they are really going to like this salad. I will do a trial run, perhaps for the birthday dinner coming up next week. 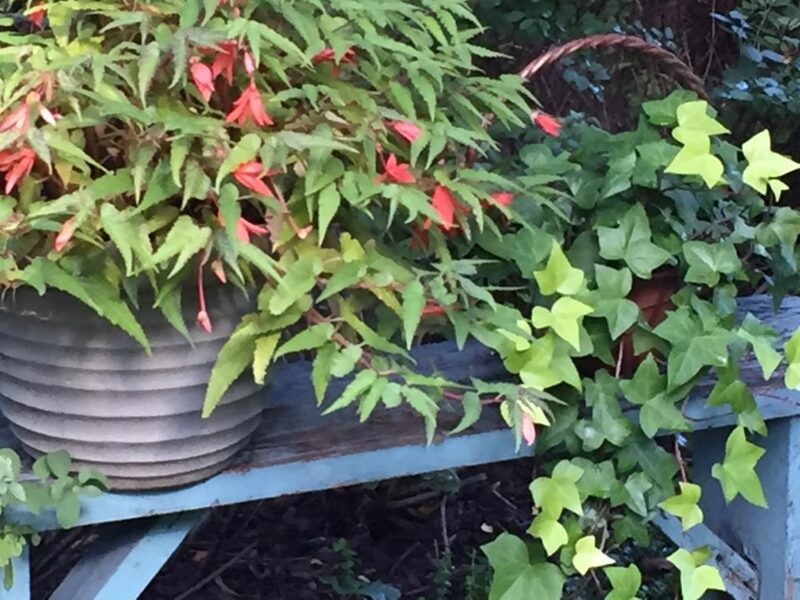 Just as I predicted, we did get a frost that put most things in the garden to rest. 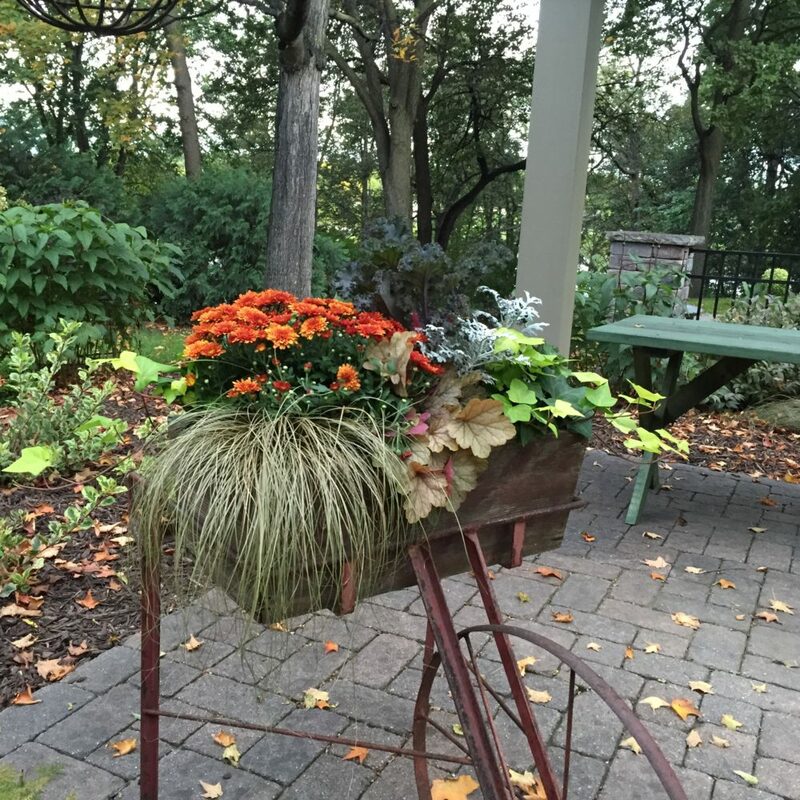 This however, gave me an opportunity to regroup and gather together the things that still look good and create new arrangements in the yard. 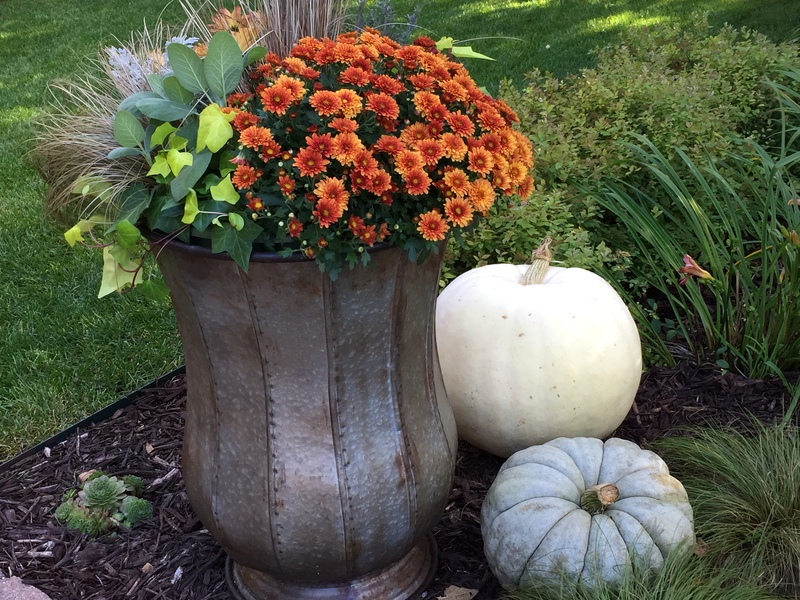 It may refresh everything enough to get through Halloween and closer to Thanksgiving when outdoor decorations really do become the beginning of Holiday decorations. 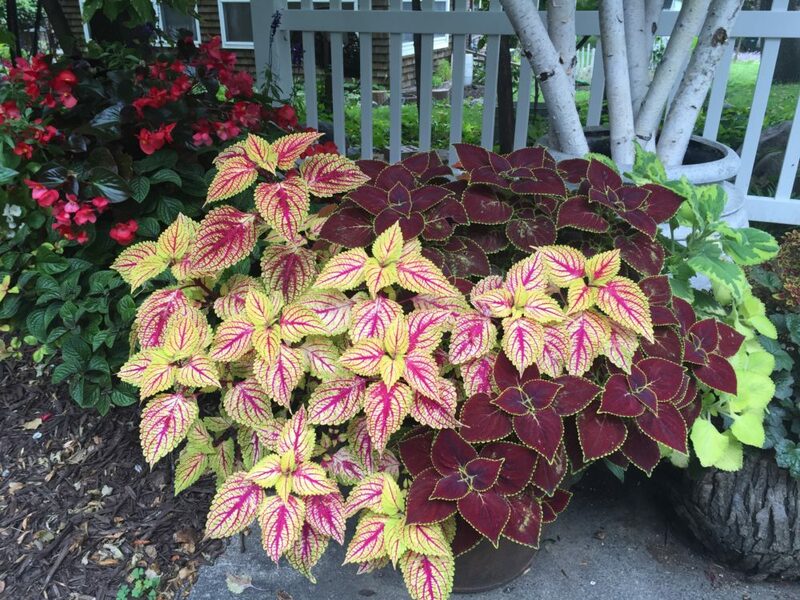 I love stepping outside my front door to be treated by all the glorious colors each day. 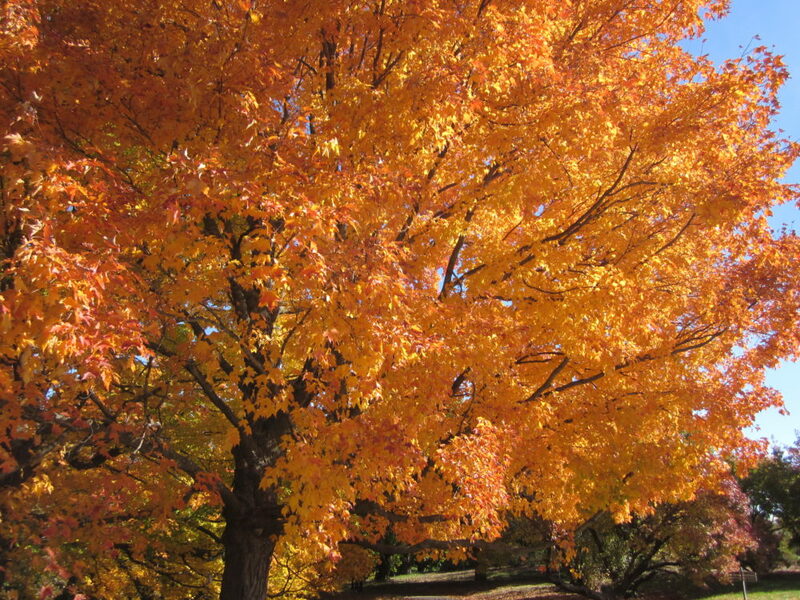 All the colors really intensified in just 24 hours. These colorful moments are fleeting and it is important to not take one day for granted. I try to capture what I see in photos, but they are never as grand as the actual experience. 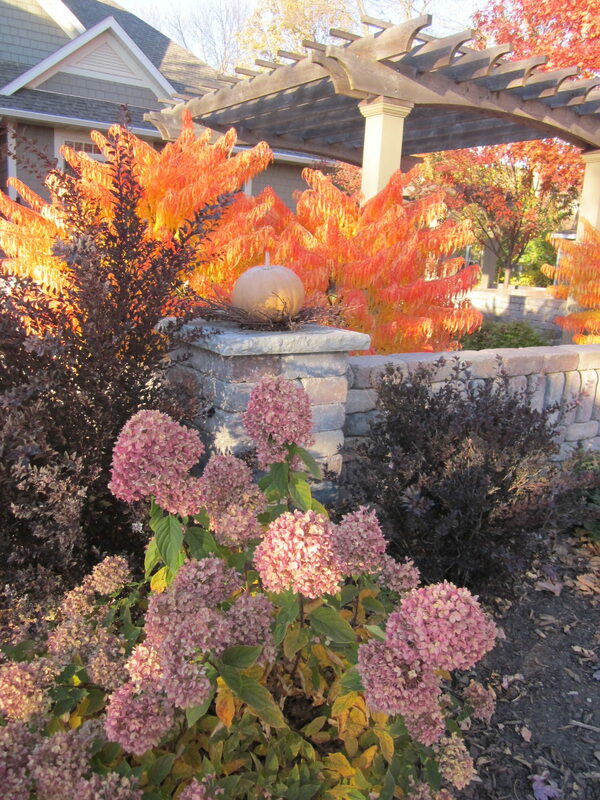 You can see why I am inspired by my surroundings, even just outside my front door. Inside, a touch of fall color starts to appear in every room. 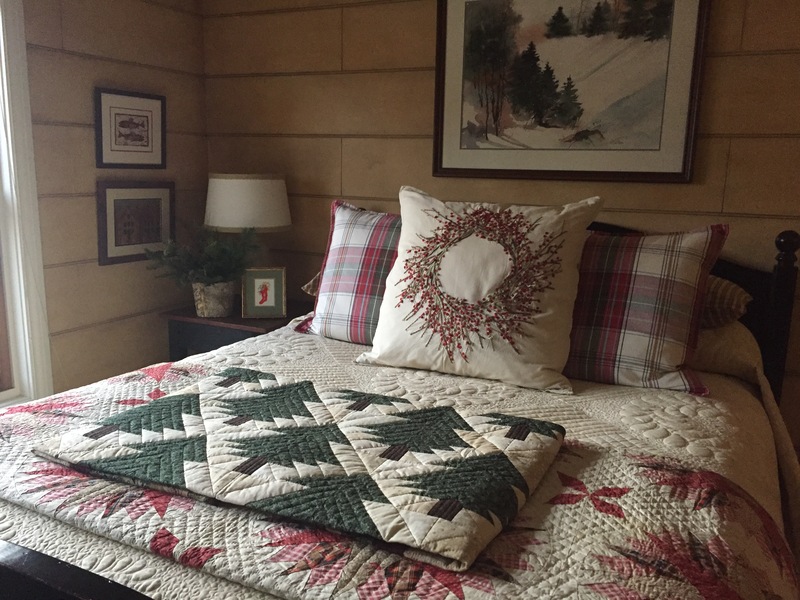 Most of my basics are quite neutral which really gives me an opportunity to transition from one season to the next by changing out some artwork, switching out pillow covers, tweaking arrangements of pottery and of course, changing out quilts. 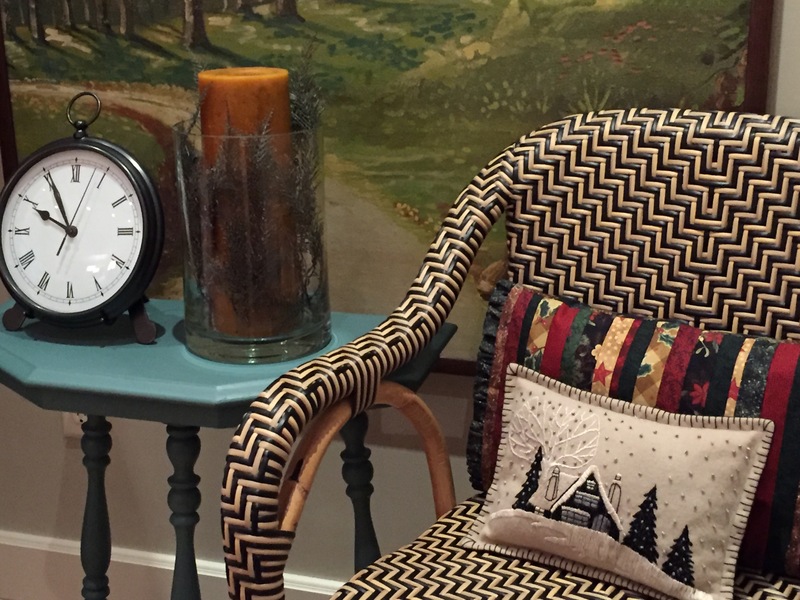 They are the best for adding color, softness and interest to a room as well as actual warmth and coziness. All the beds get new quilts and of course the dining room table is a great place to change out the multiple runners I have for Halloween and general fall decorating. 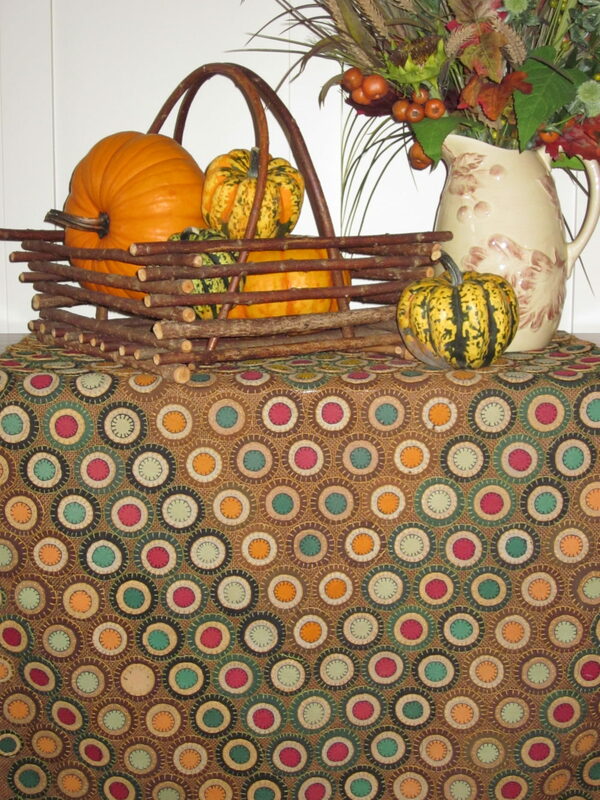 It is fun to bring the fall colors indoors. I promised a sneak preview of the Block of the Month made from the River Song Fabric Collection that will be debuted at the Fall Market in Houston at the end of October. The colors in the River Song collection reflect a traditional color palette that appears along river banks everywhere, and definitely here in my home town. The basic quilt is Quicker by the Dozen. Each month, 12 blocks of one block design are made. This is what makes it “quicker”. 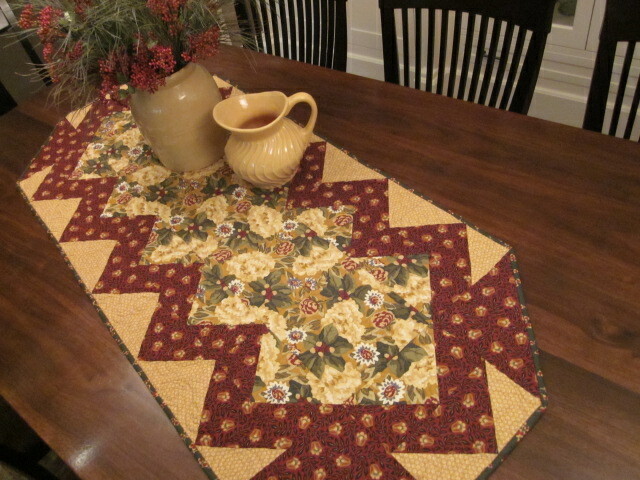 The cutting is easier and the piecing is easy and multiples can be made quickly. One size version is a Throw that uses 6″ blocks and no border. Another size version is a generous Queen/King that uses 9″ blocks with a border. Of course, borders are optional on either size. I collaborated with the ladies at Cotton+Steel and RJR Fabrics showcasing two other fabric collections. This gives you, the consumer, a very valuable design that can be used for so many quilts that will be remarkably different. 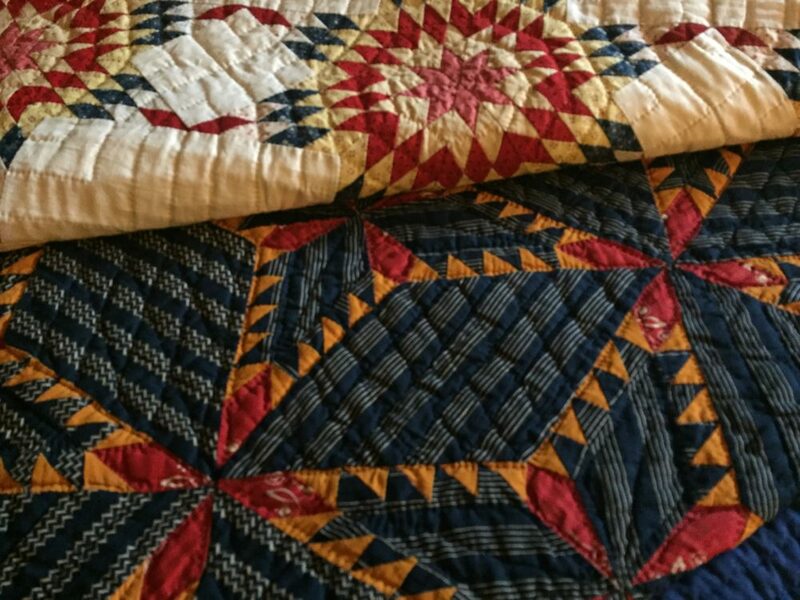 It is easy to piece and would make a great project to do with someone who may want to learn to quilt while working along someone who can pass on hints and tips and they can make it in a fabric collection that appeals to their sensibilities. It is a one size fits all kind of BOM. 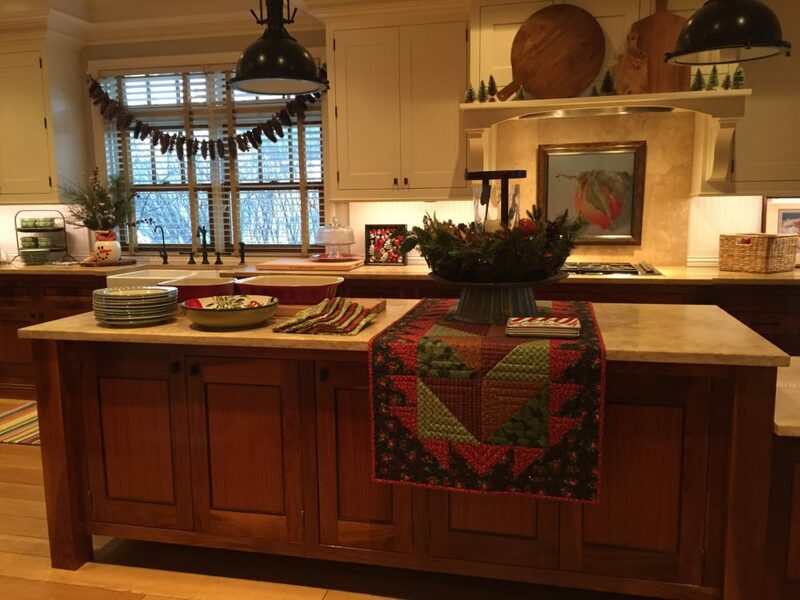 Included in the pattern is also a view using the RJR Thirties, Everything But The Kitchen Sink collection as well. All the versions are vastly different giving you a lot of choice. Actually, it would be fun to make one of each. 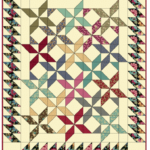 Ask you local quilt shop to inquire about the Quicker by the Dozen – Block of the Month from their RJR representative. 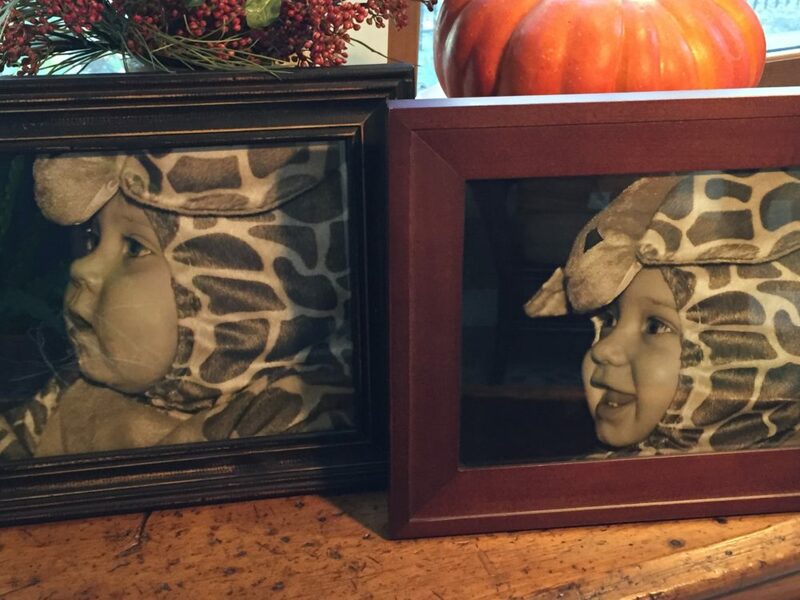 My two grandchildren, Taylor and Ella, both wore the same Halloween costume at about the same age, just 2-1/2 years apart. A similar picture was taken of both. They are the first two things I pull out each year and if I didn’t get any other Halloween decor displayed, they would be enough. Both Taylor and Ella, now 5 and 7 love to see the pictures as well. 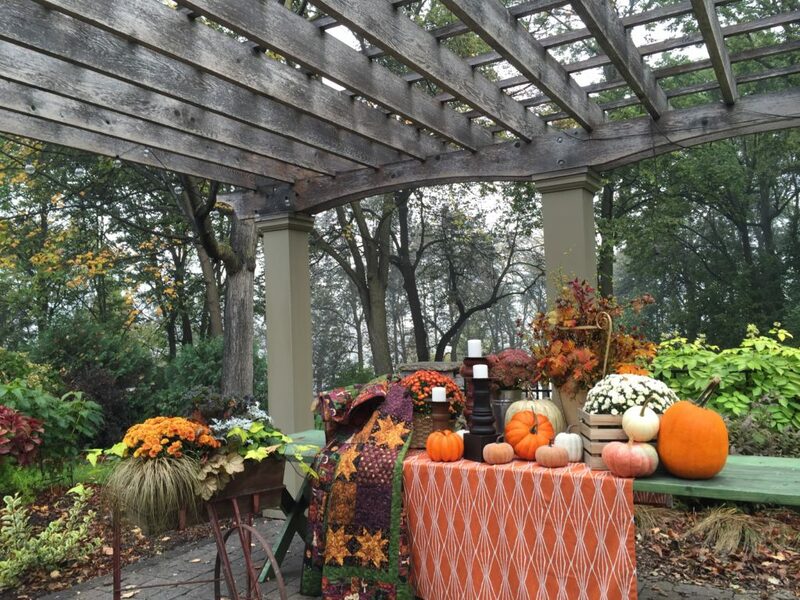 I know, I am a little crazy about fall…the temps, the colors, the sites and the food are all favorites of mine. 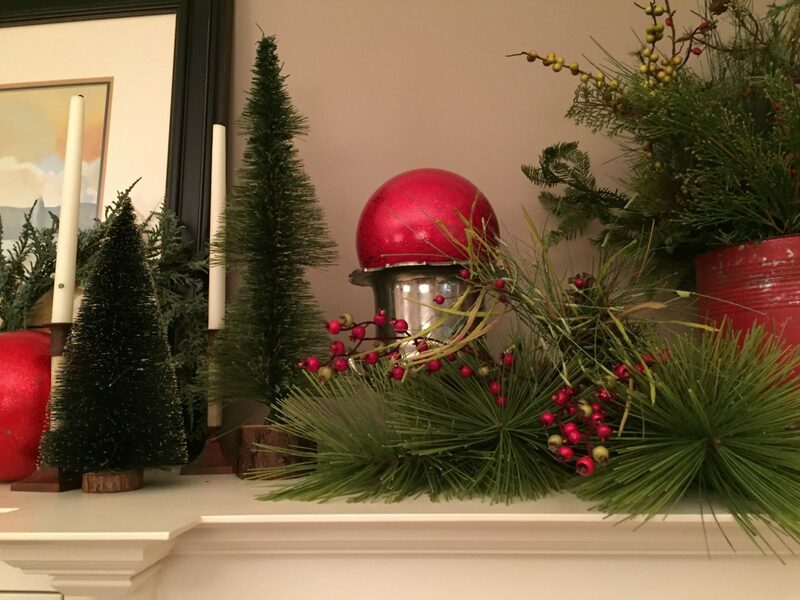 It is such a fun time for decorating the house and the yard. 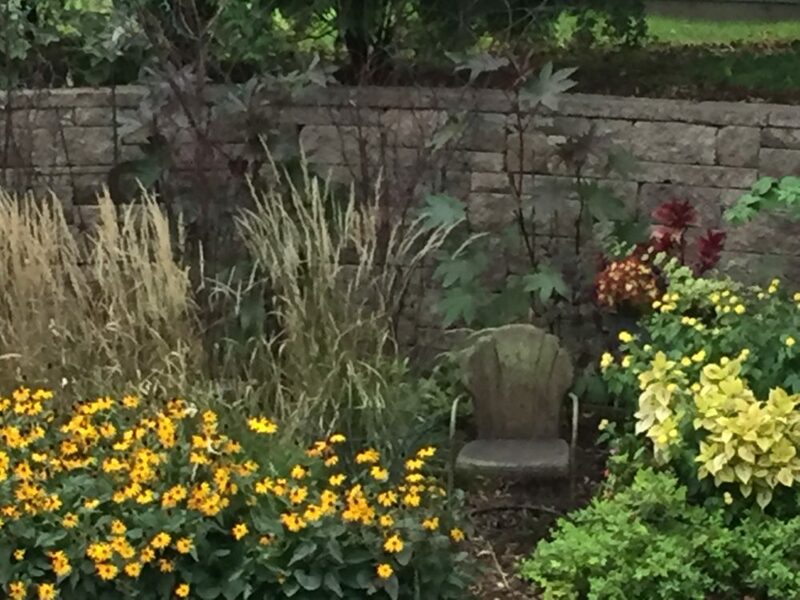 I know our time here in Minnesota is very limited when we will be able to enjoy anything left in the garden before our first hard freeze arrives and closes the door on all the beautiful garden color. We have had a longer than normal growing season, and I guess it is time. 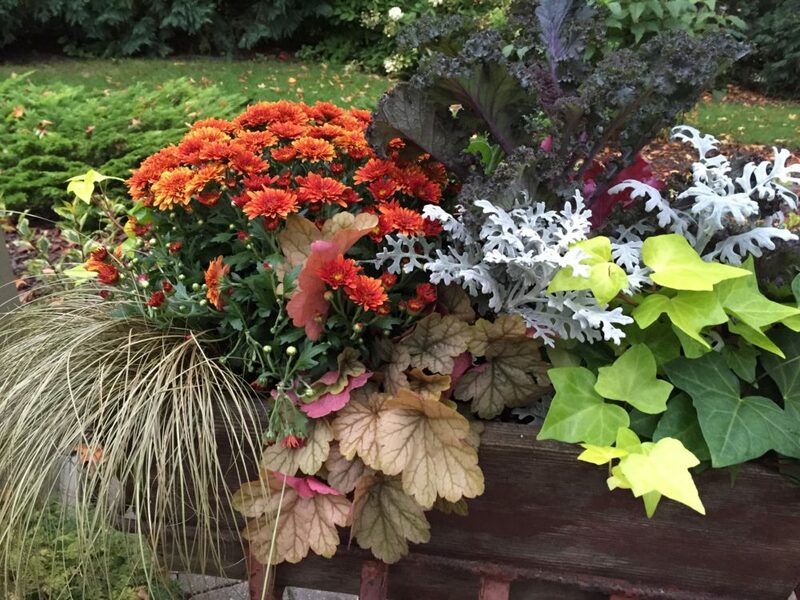 This is my last fall outdoor display of the season that will involve any colorful blooms. Garden clean up is on the schedule for next week. I found this wonderful penny rug at an antique shop last fall and now it is finally time to display it again. It is always hard for me to pass up this much hand work and wonderful colors as well. It is perfect on my table in the front entrance. 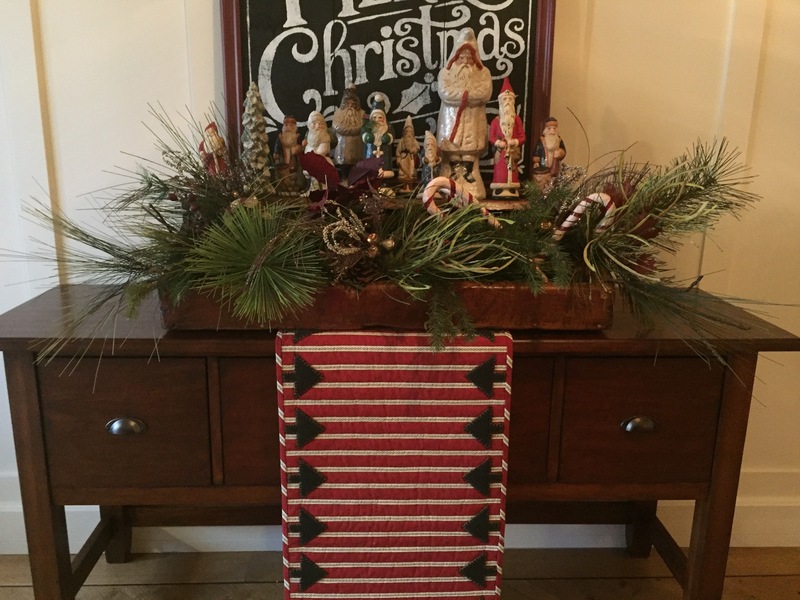 The wool circles were stitched on a burlap background with a hand blanket stitch. It was then backed with a piece of fabric and simply hemmed with a double 1″ hem. A few weeks ago, I found a picture of my grandmother’s barn that I fondly remember playing in as a child. Just before it was demolished, I took a picture of it (now 40 years ago.) I have been looking for the picture for years, and was so excited when I came across it this last month. 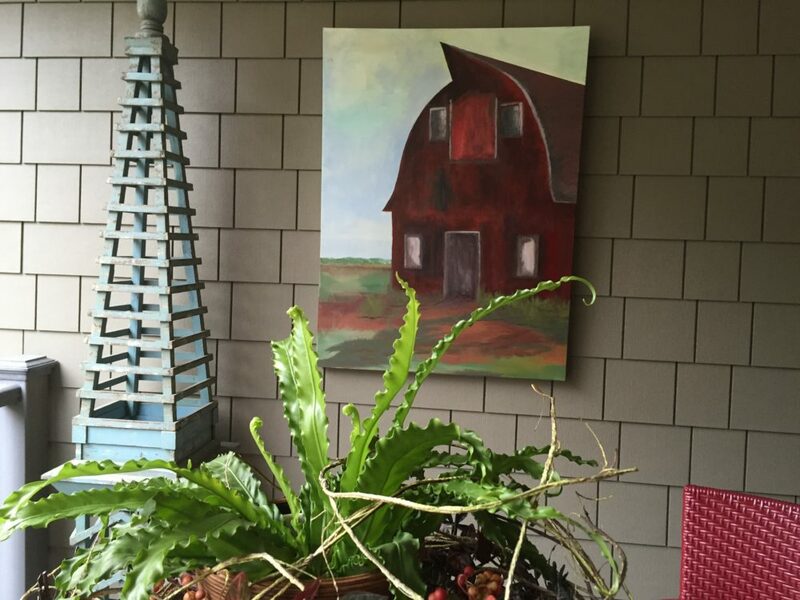 I decided to paint a picture of it to use outside in our covered porch for a while until the weather gets too cold. I can see it from a number of rooms in the house. 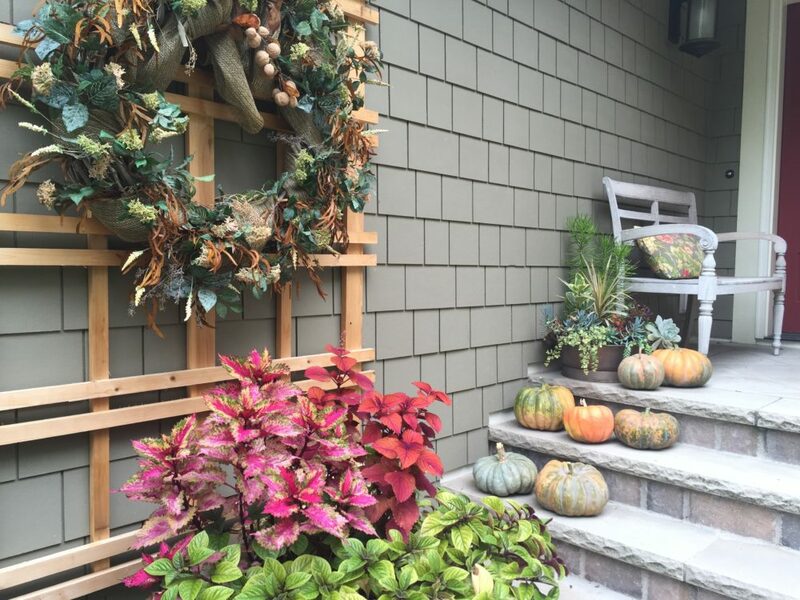 It is my newest “fall” accessory, I will certainly find a spot indoors for it indoors as well, but for now, it certainly adds a nice pop of color to the porch. I am busy getting samples ready for Fall Quilt Market in Houston. The samples need to be sent off next week. I will give you a sneak preview next week before I leave for market. 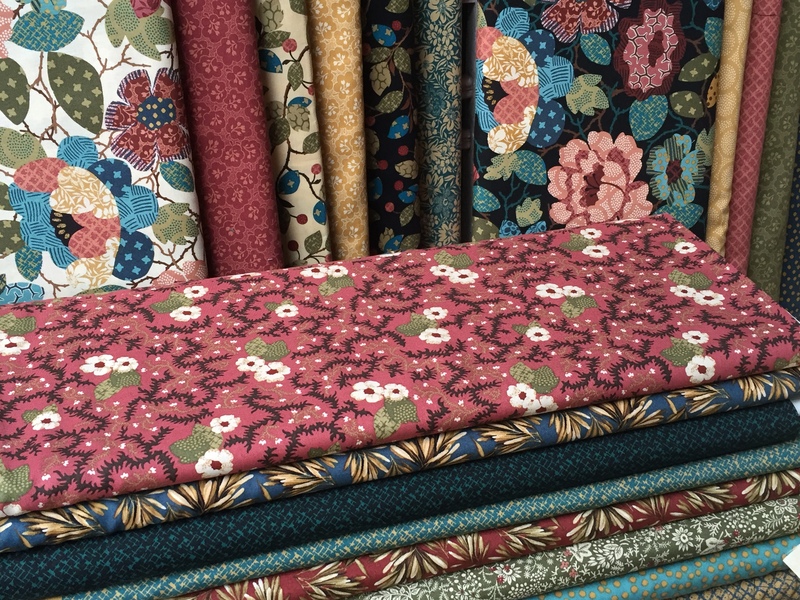 I have had a few questions about the availability of the Garden Collage fabric collection used in the Spinners quilt pattern I posted last week. 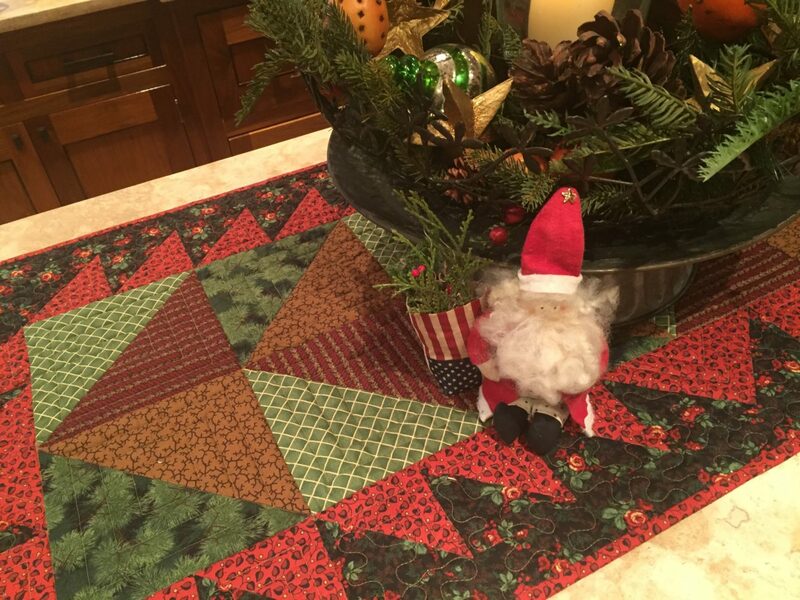 If it is not available in your area, please call Quilt Haven on Main at 888-843-8215 or 320-587-8341. As of yesterday, they had the collection in stock and can ship you what you need. 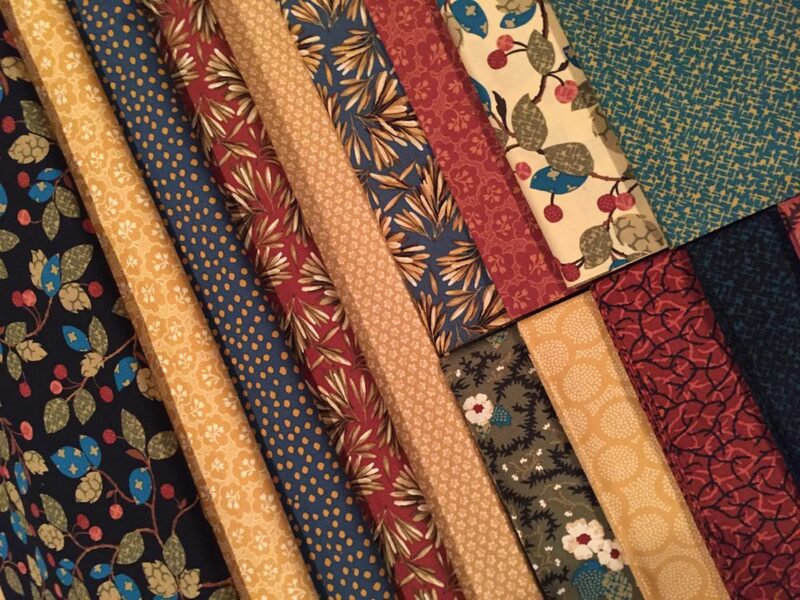 My recent fabric collection, Garden Collage has been so much fun to work with making many new quilts. The collection has a really great signature print in two color-ways with a host of coordinating side prints that work with both of the color-ways. 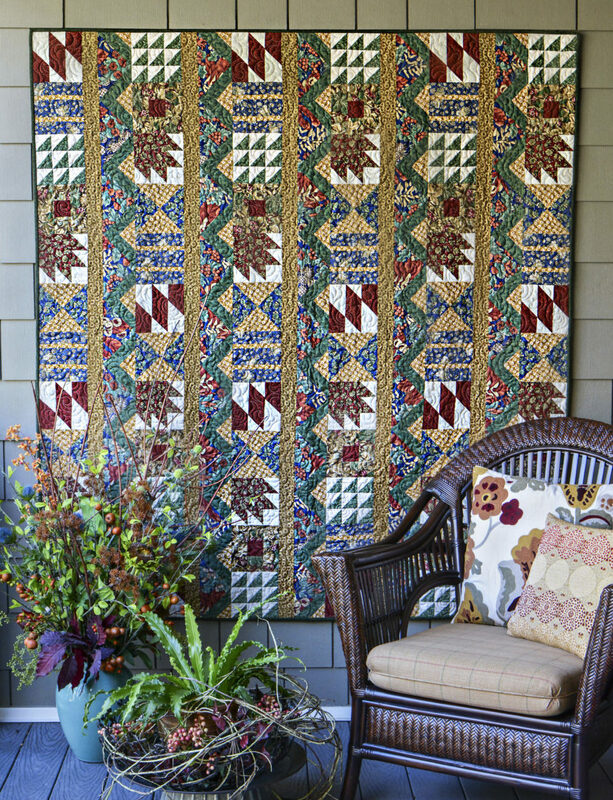 Now, with summer winding down, I hope you have a chance to make this wonderful quilt. 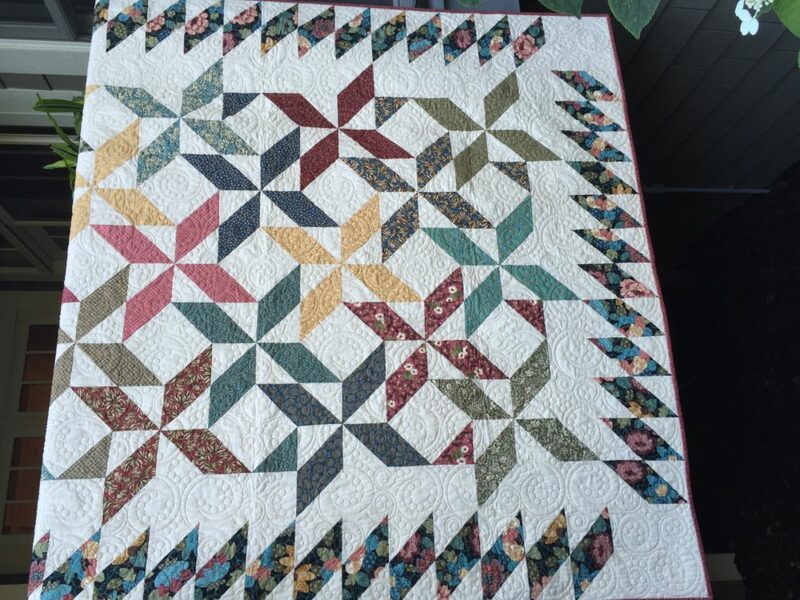 Spinners is a really fun quilt to make using the collection, but it would be a great quilt to have in your collection of quilts made from any fabric and a great scrap quilt option as well. This weekend, we are hosting a Groom’s Dinner tonight and a wedding ceremony tomorrow afternoon here at our home. 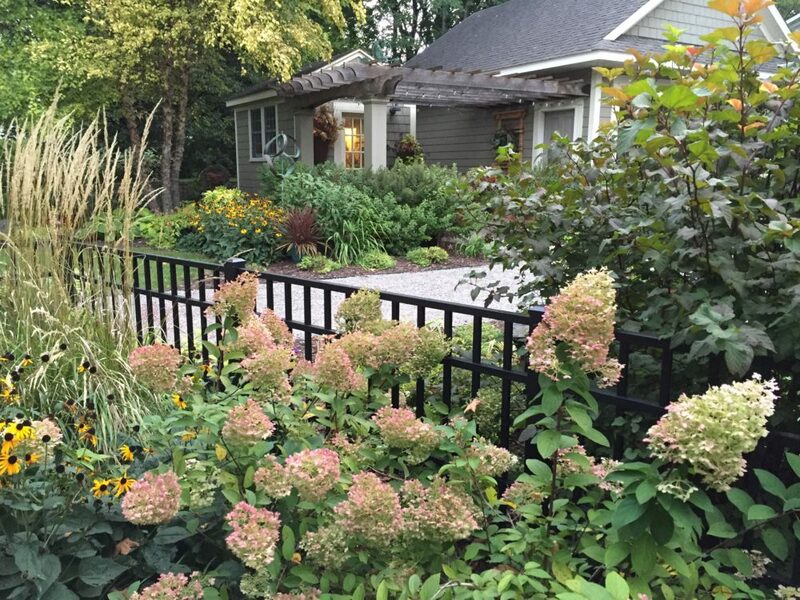 The challenge all summer has been keeping the garden in tip top shape through some pretty challenging weather situations…lots of heavy rain, hail and even damaging storms. (Remember the downed tree and crashed fence a month ago?) 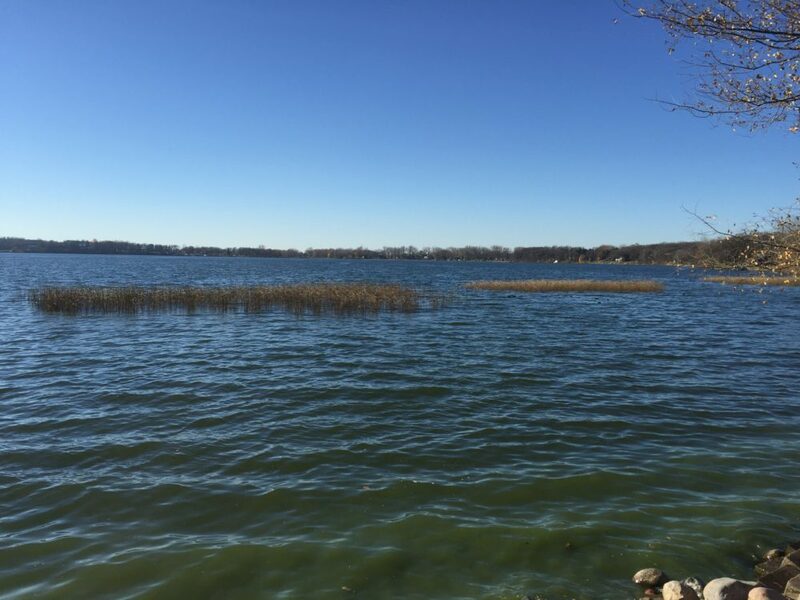 This week, we are experiencing rain fall totals in MN that are historic. There is a small town not too far away from us that received 18″ of rain in one 24 hour period of time. We, luckily, received just 4″ that same night. More is on the way for today and tomorrow and we are crossing our fingers that we can squeeze in our events between showers. 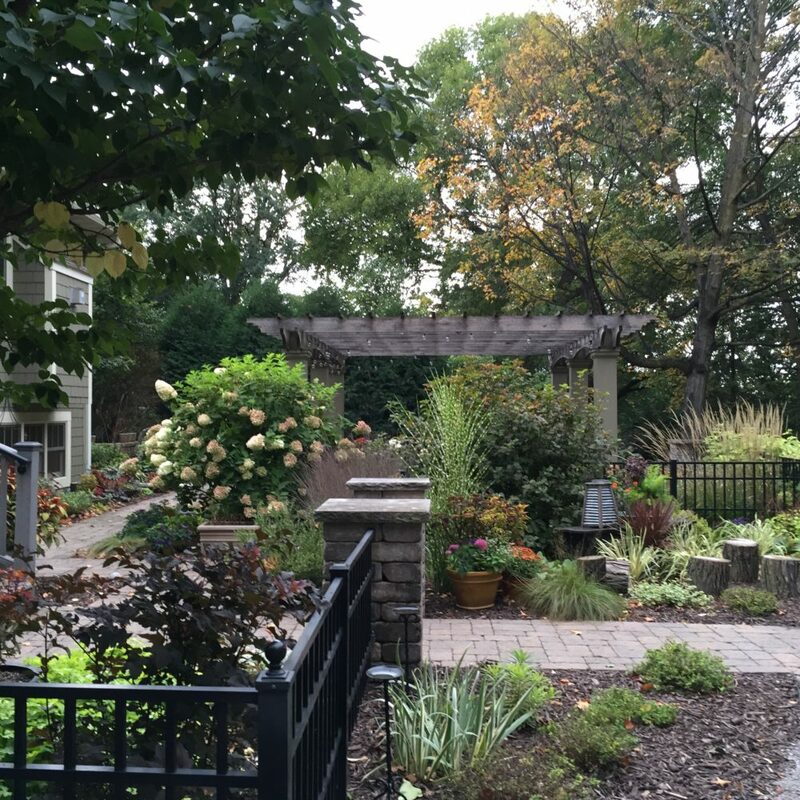 I snapped a few pictures of the garden as it is now in the fall….fewer flowers bloom now, but at least the hydrangeas and coleus plants are their strongest at this time. I will hopefully get some shots of the set-up tonight with all the lights on and candles glowing. Our bedrooms are all filled with family from out of town so the house is hopping and I have lots of food prep for tonight to do. 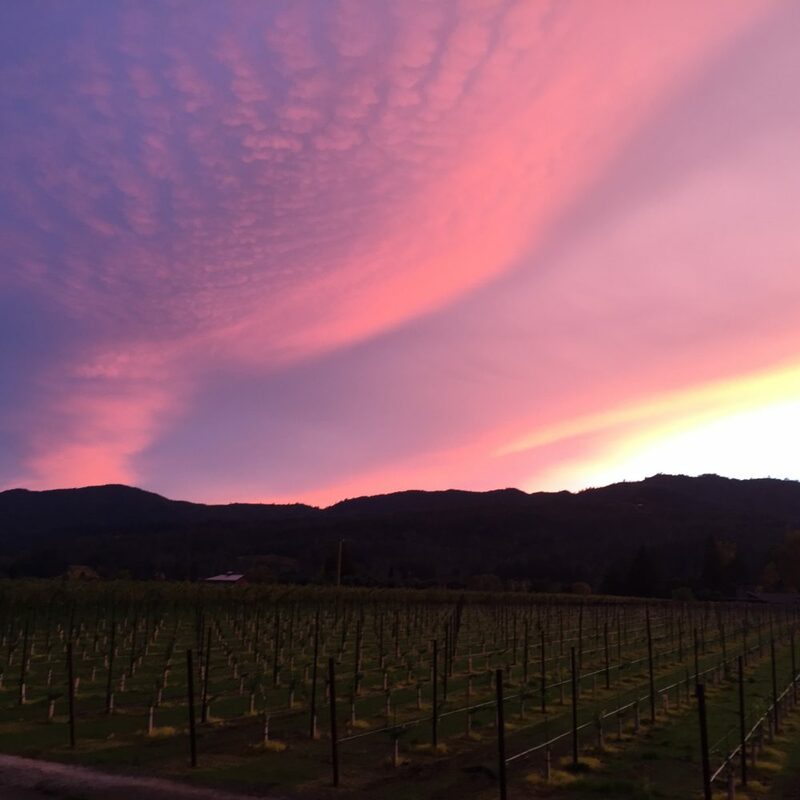 So, as the sun comes up…another busy day ahead.